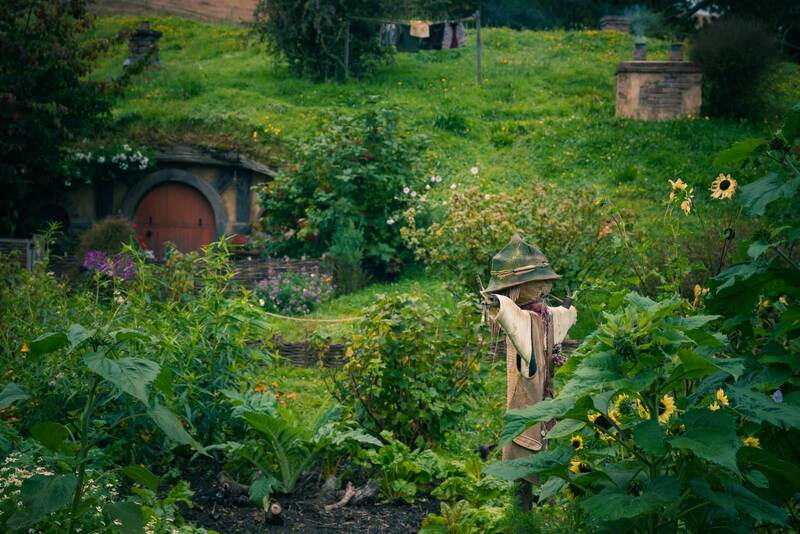 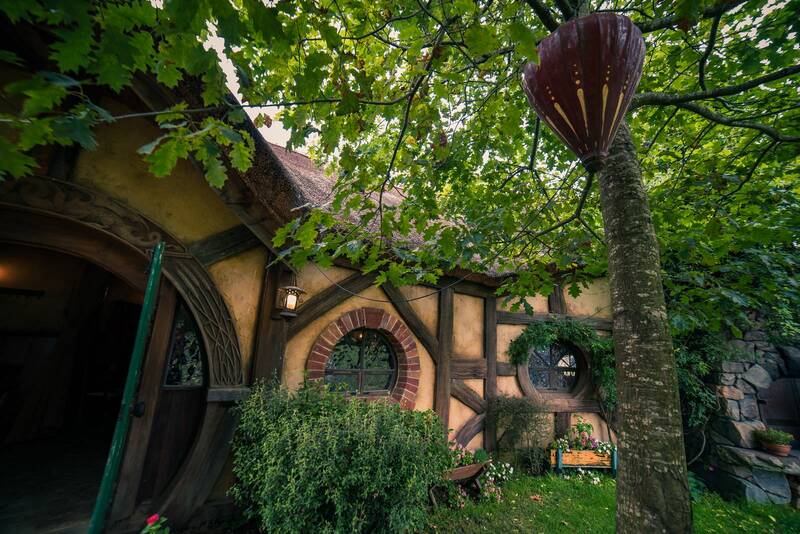 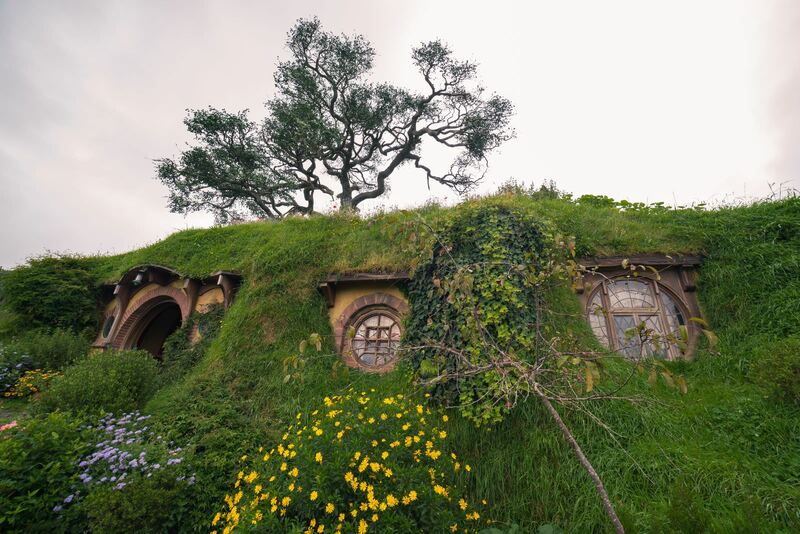 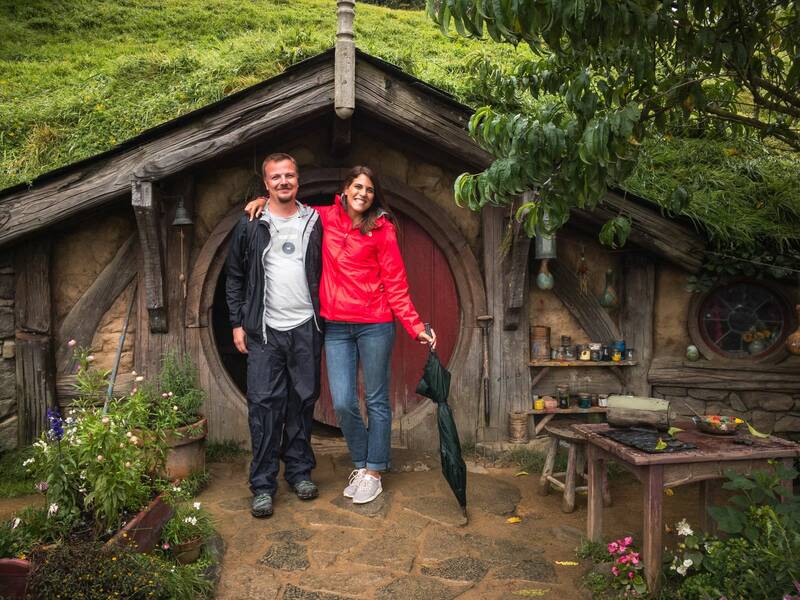 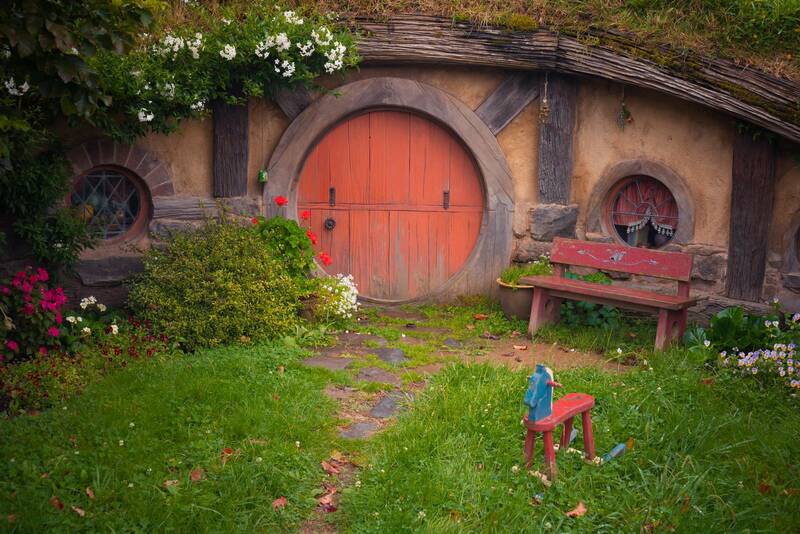 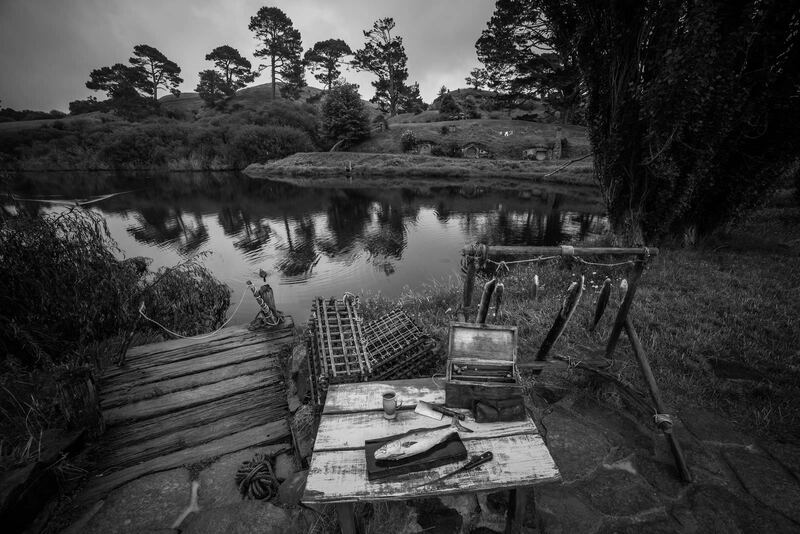 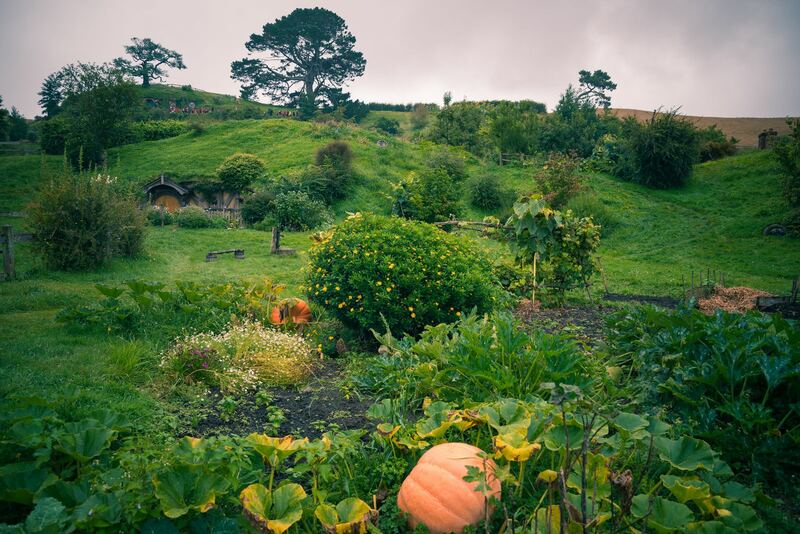 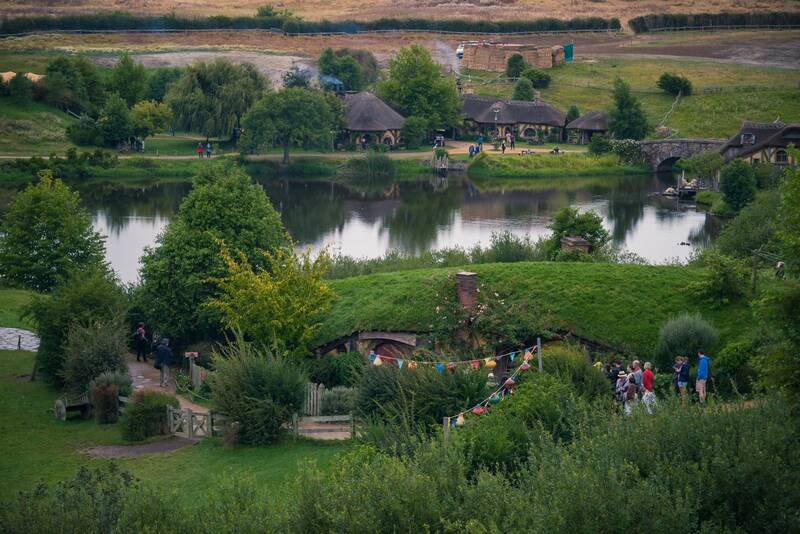 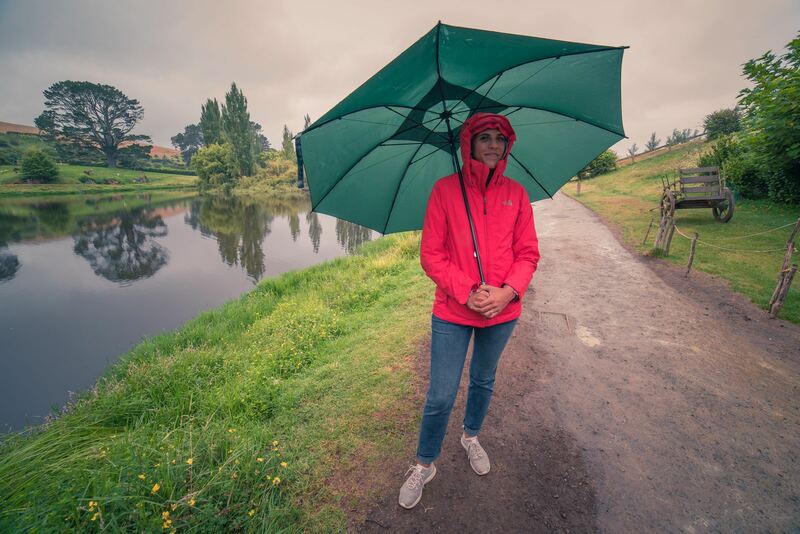 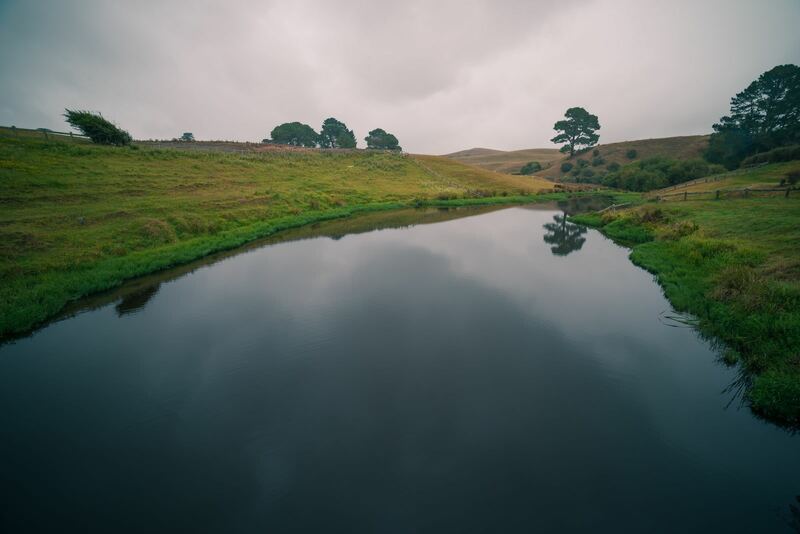 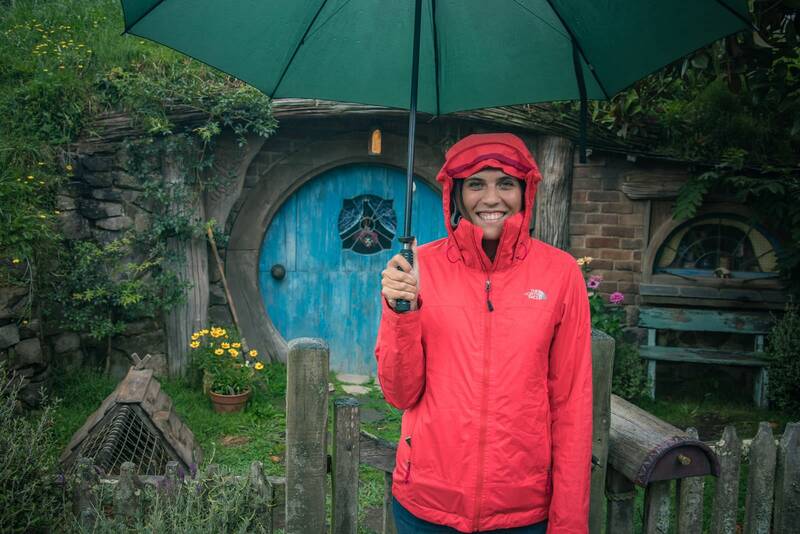 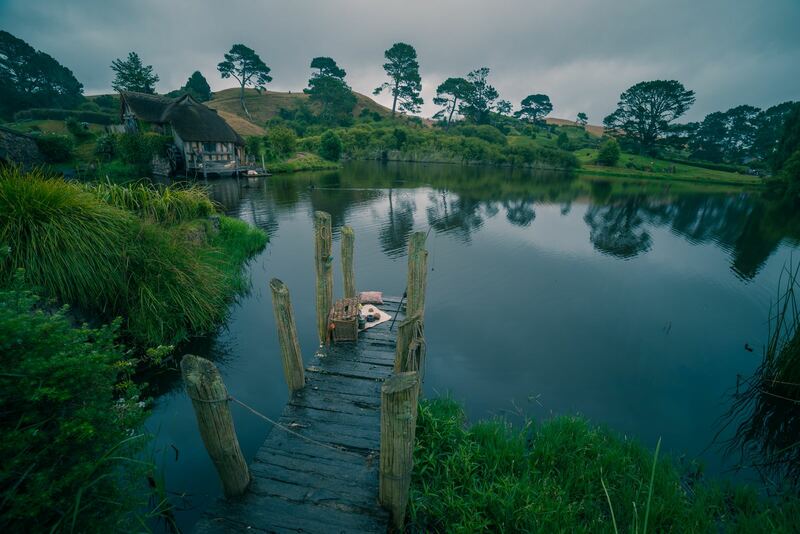 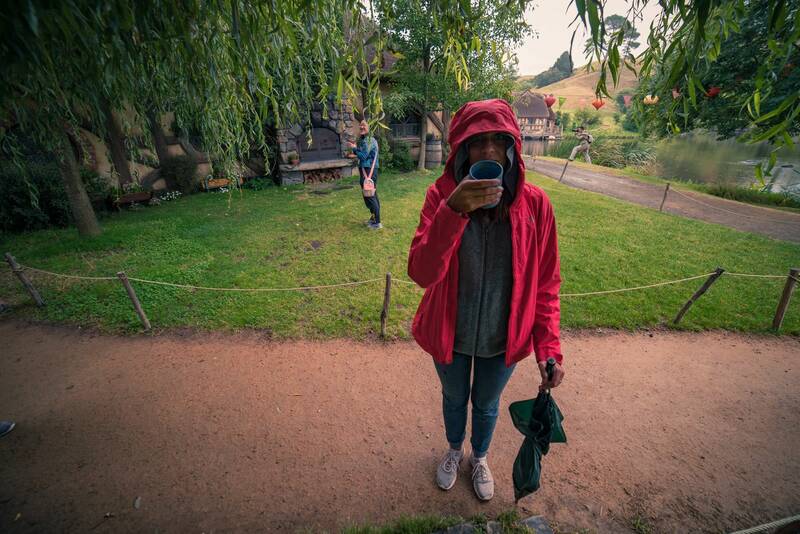 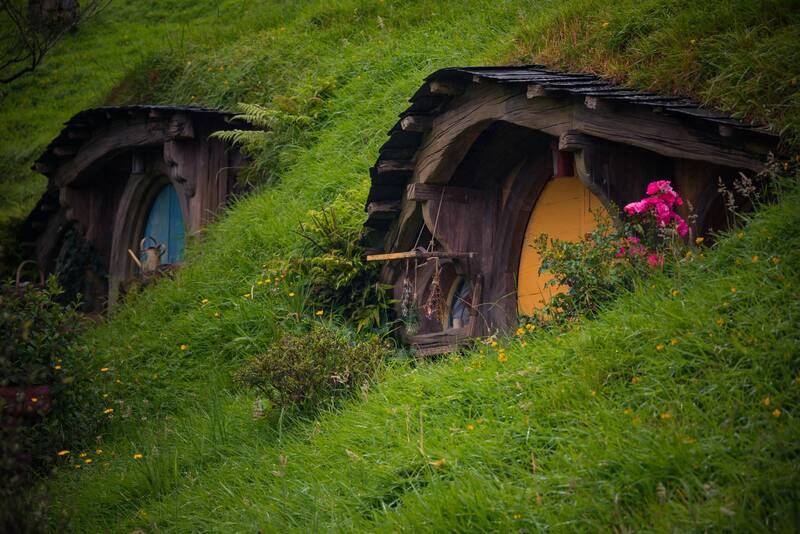 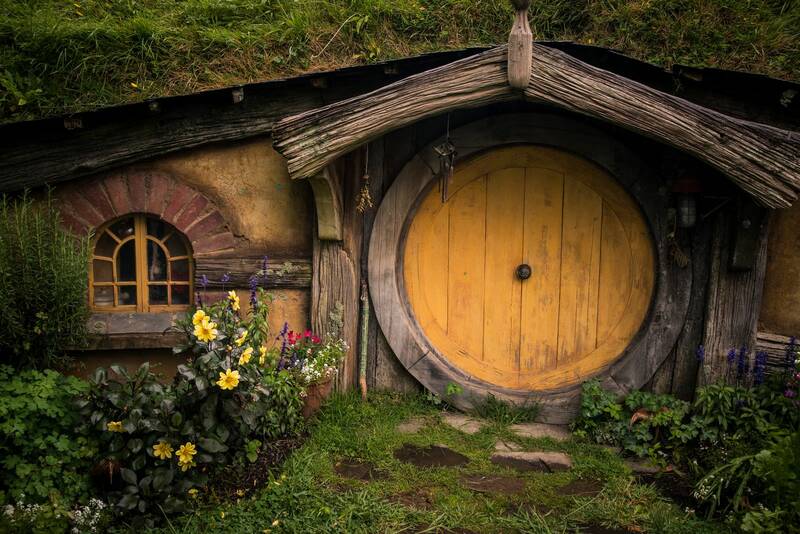 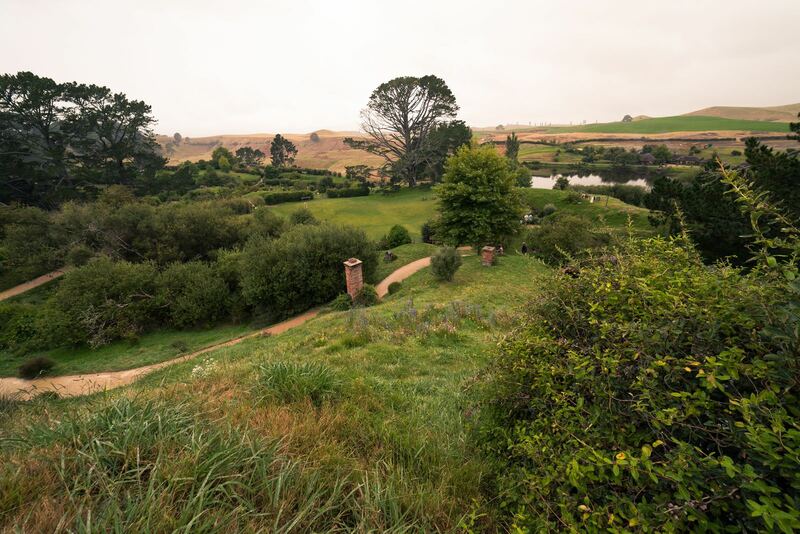 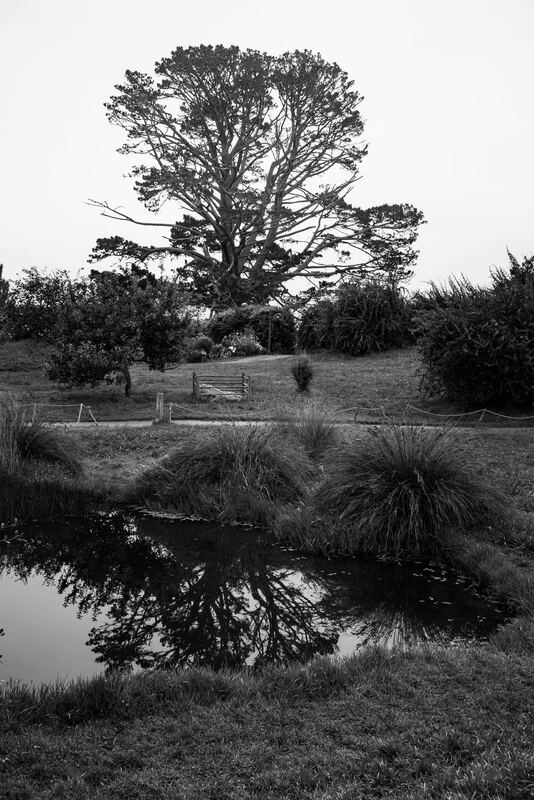 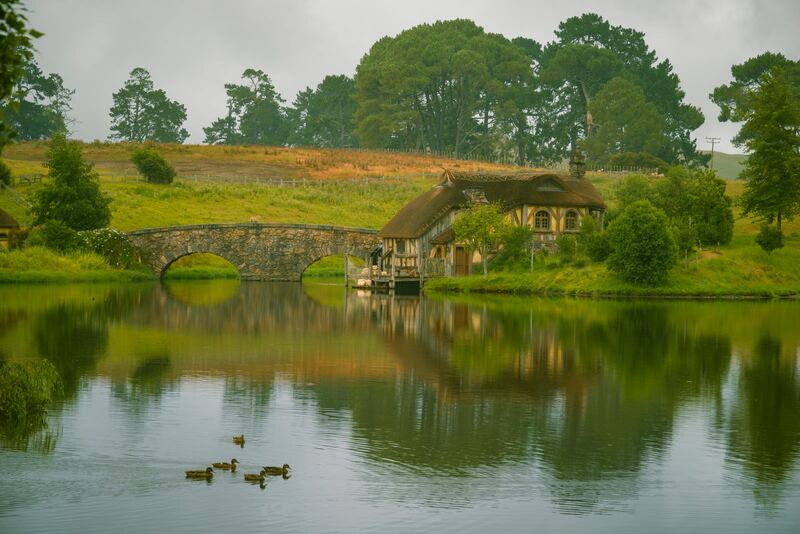 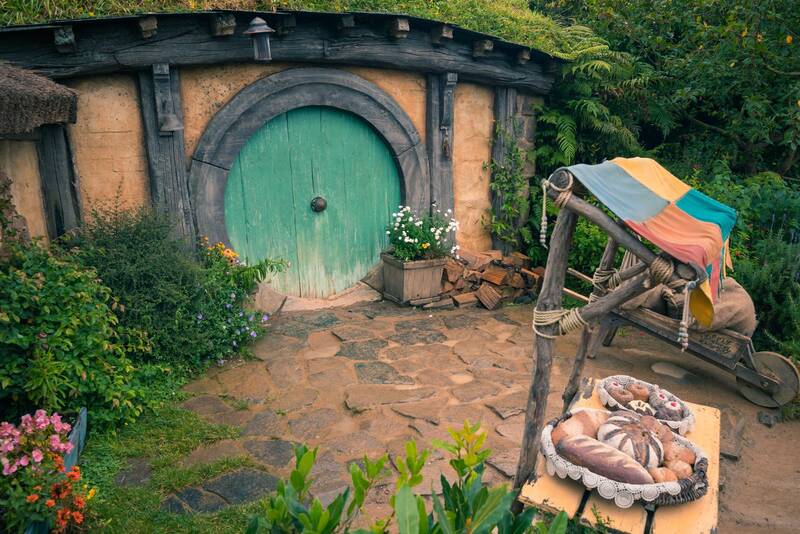 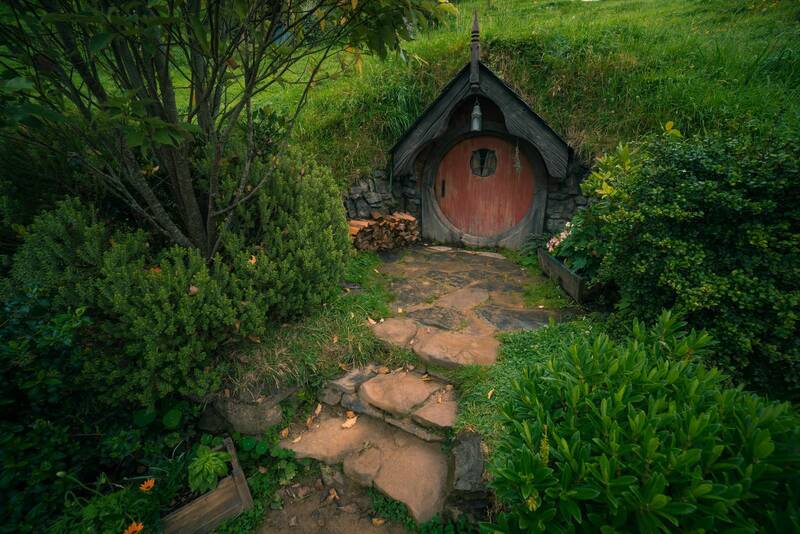 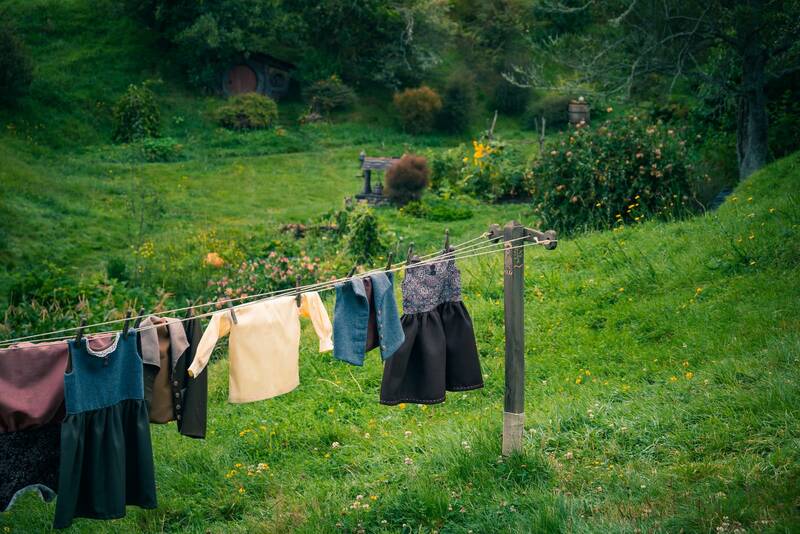 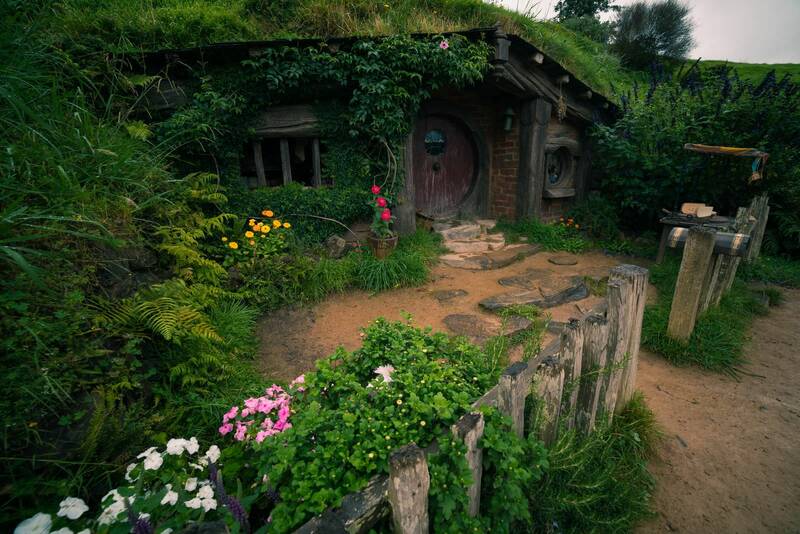 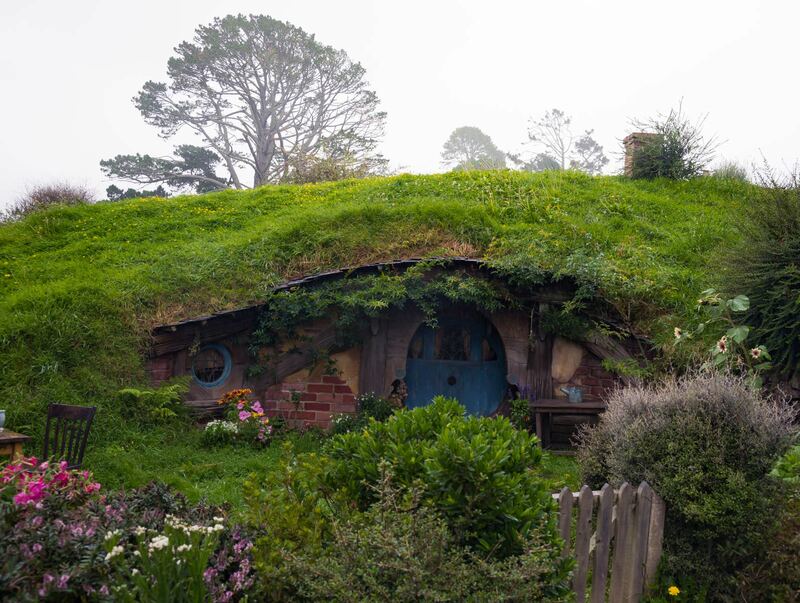 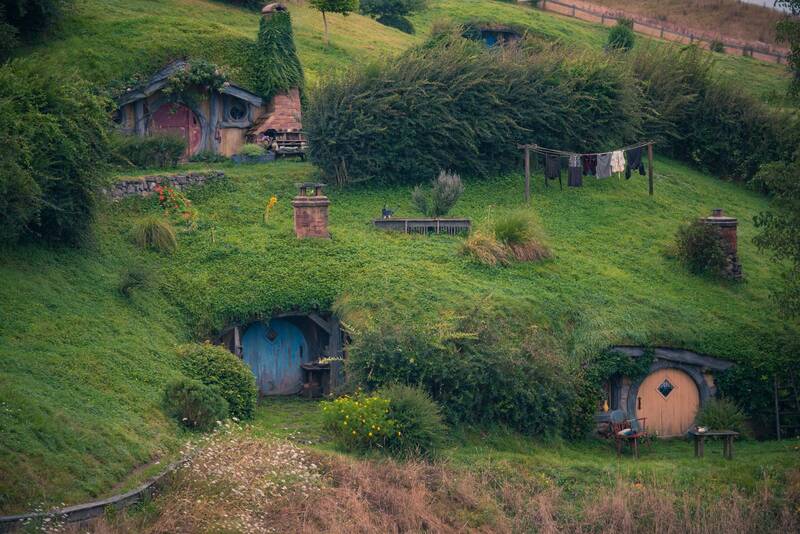 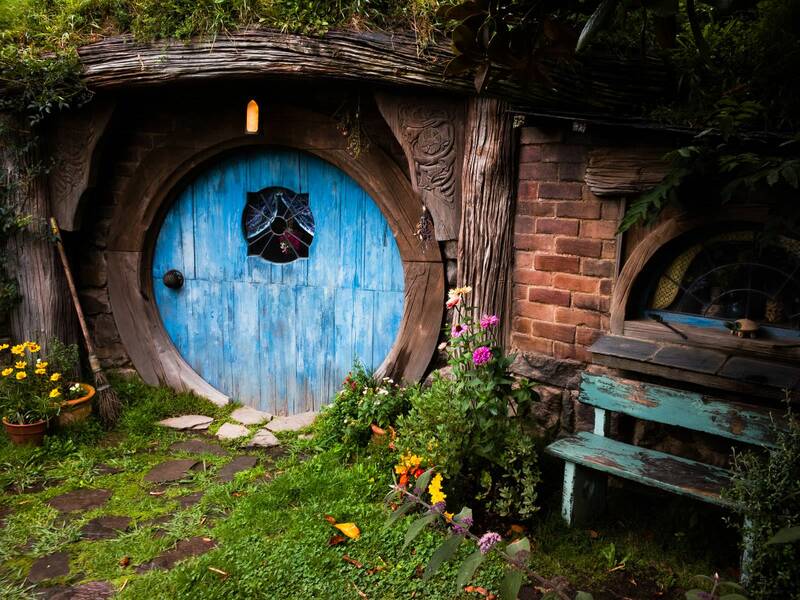 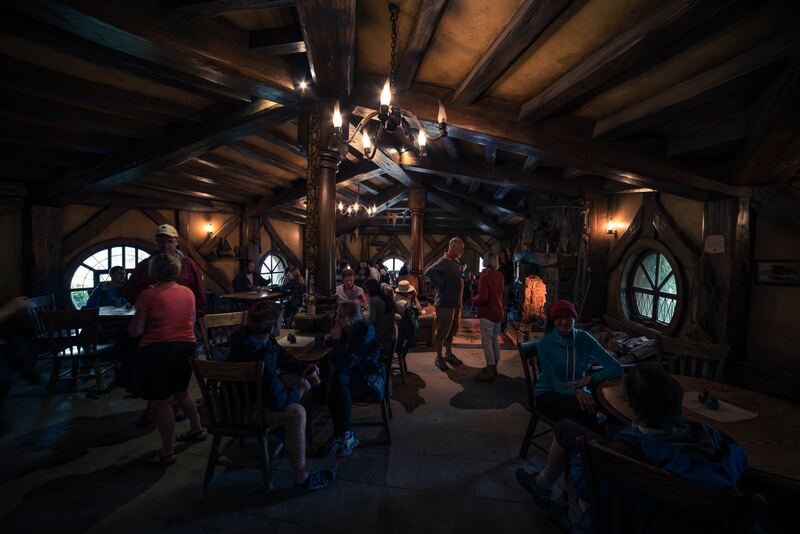 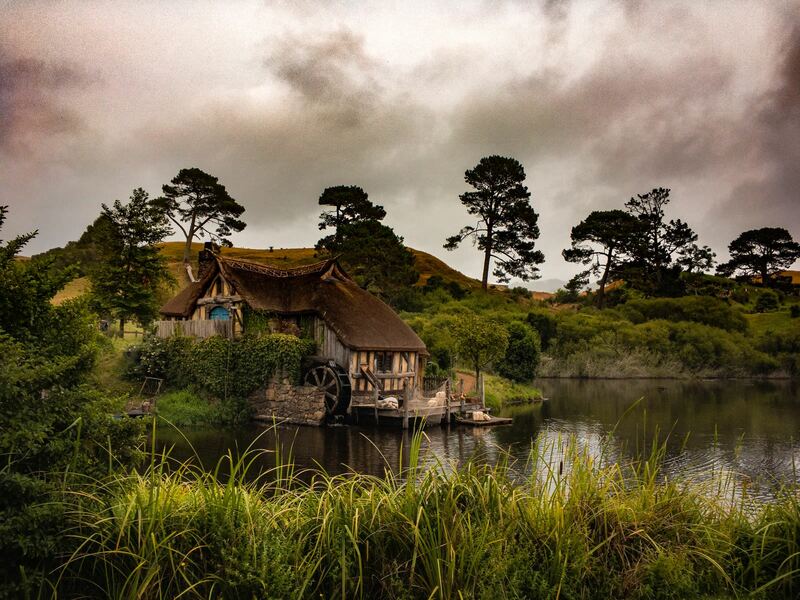 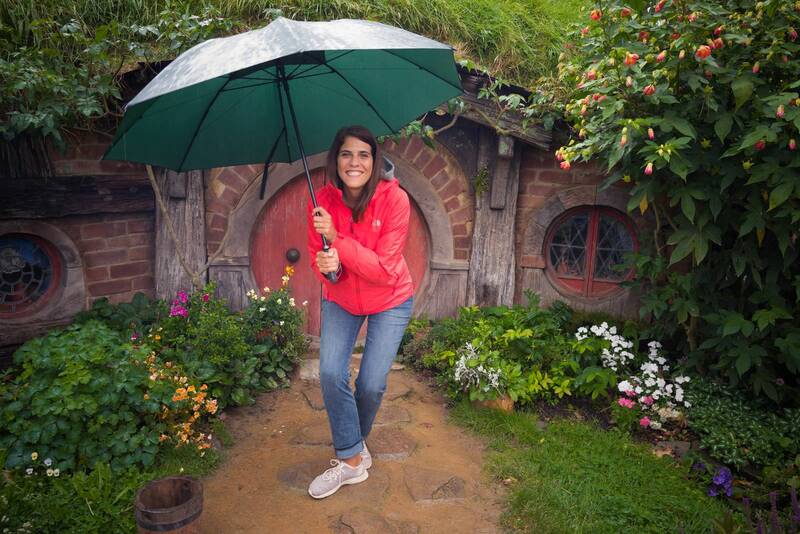 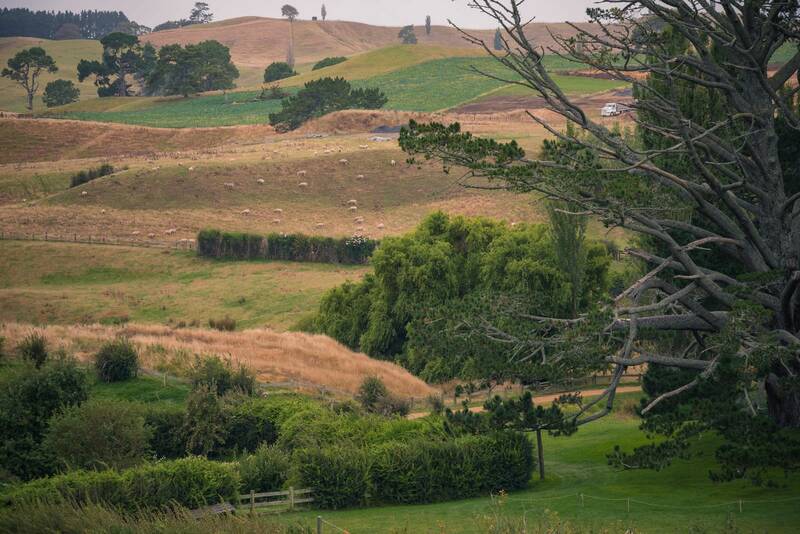 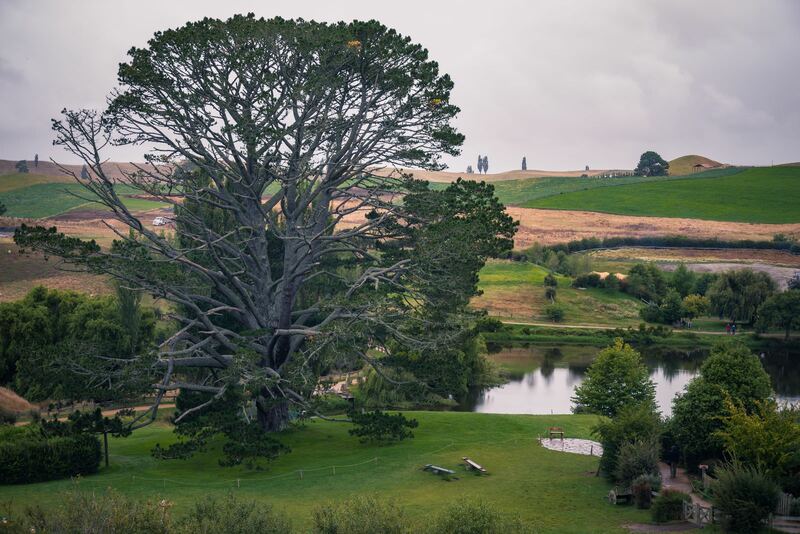 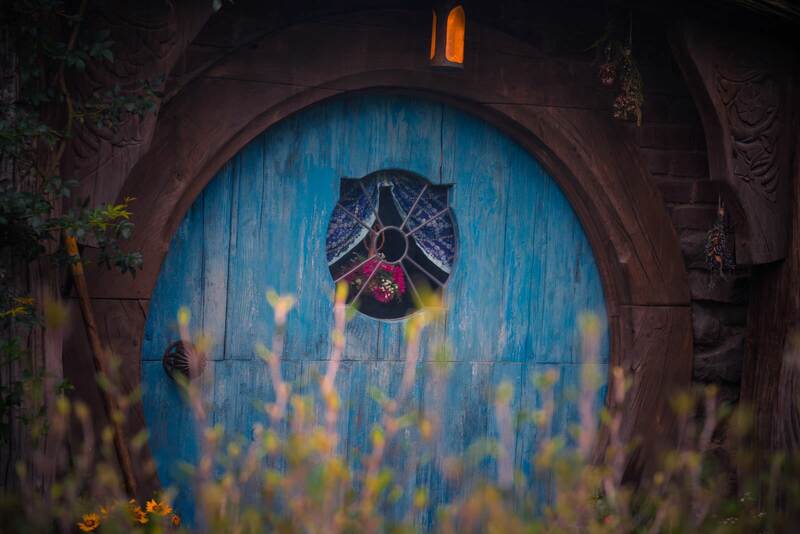 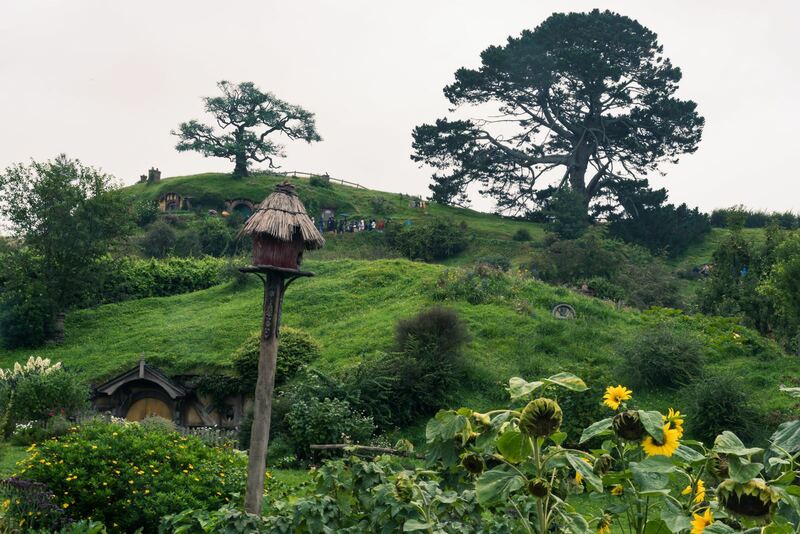 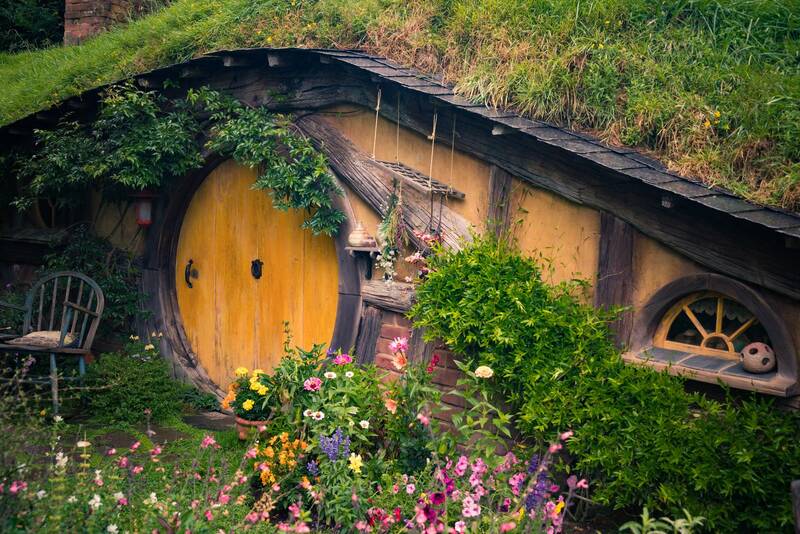 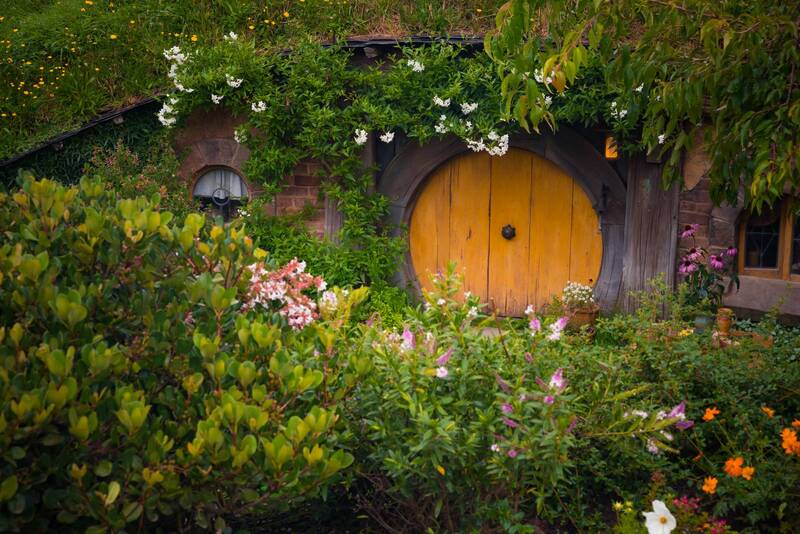 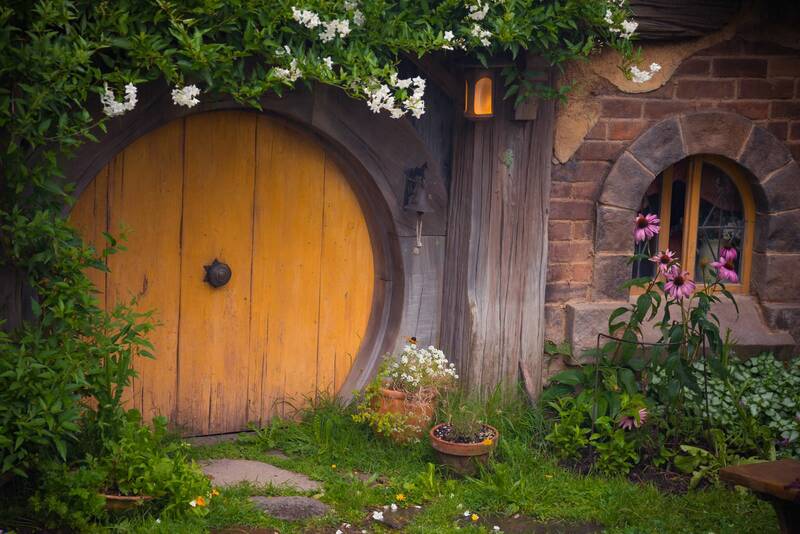 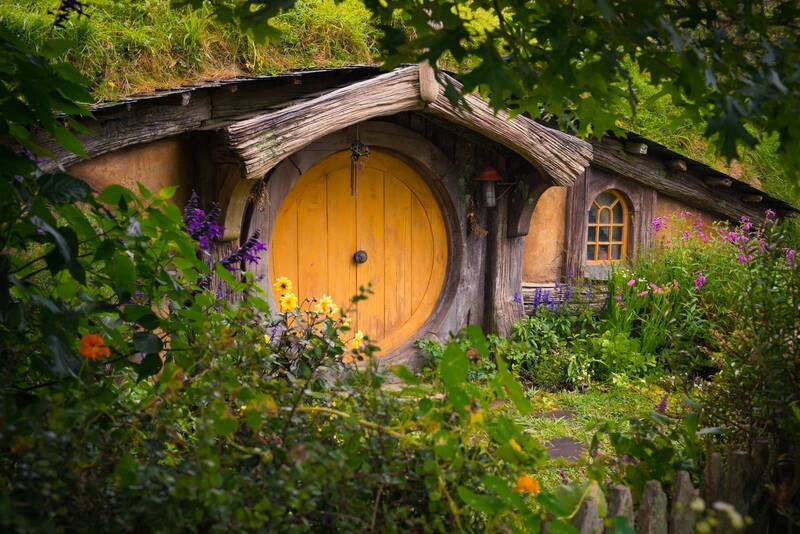 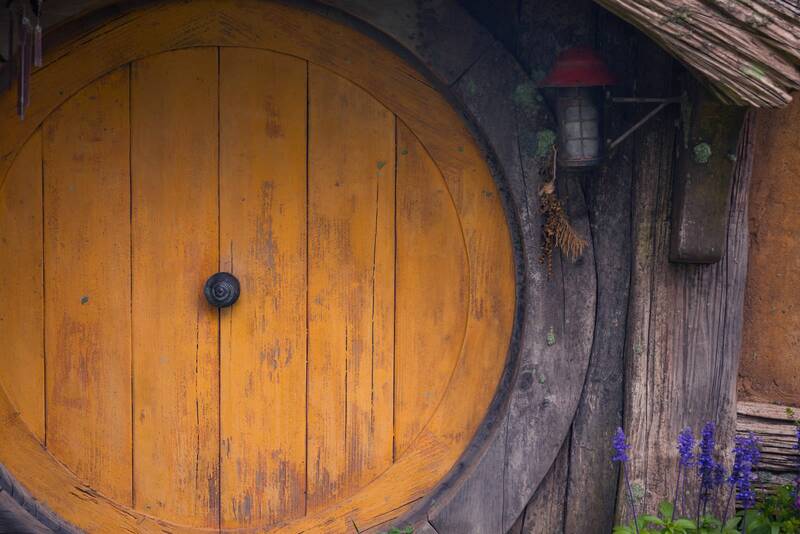 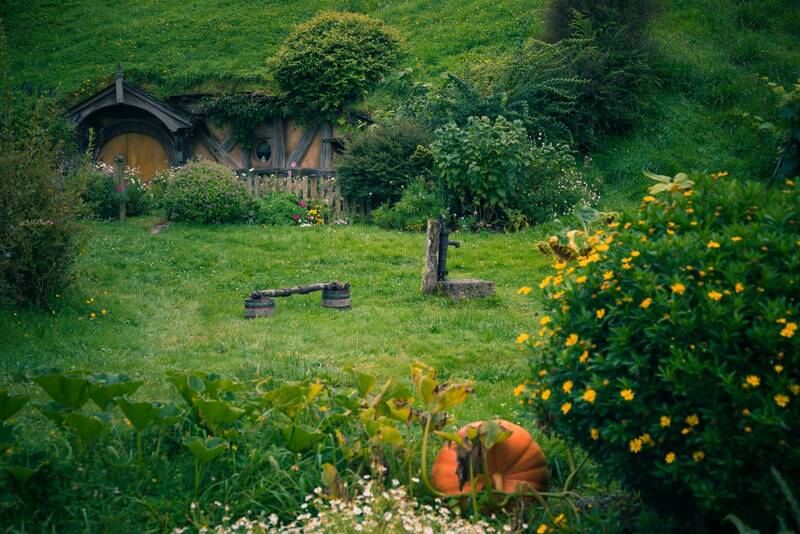 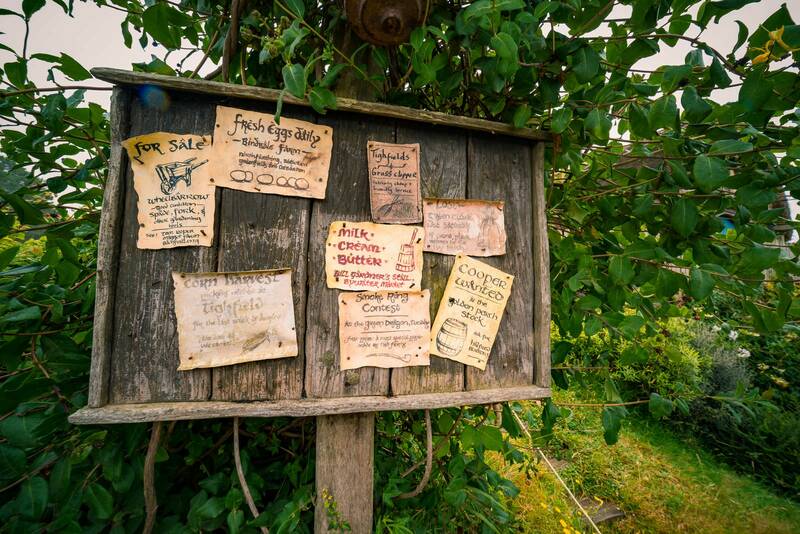 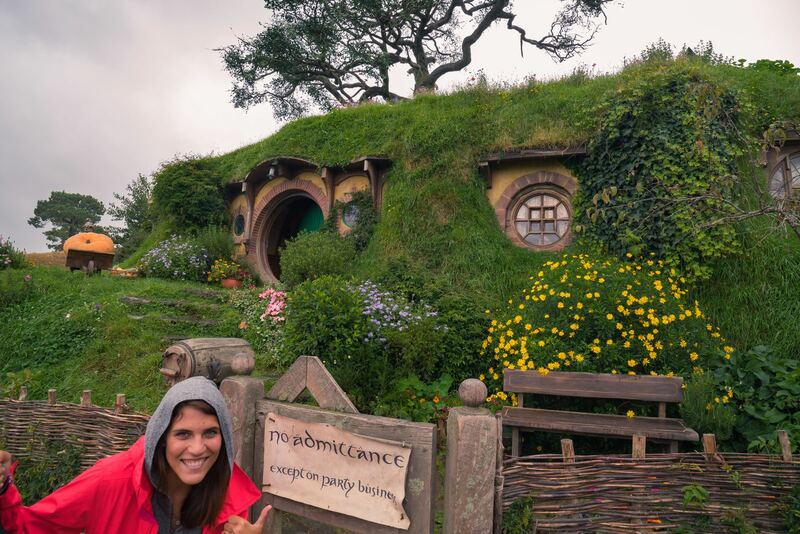 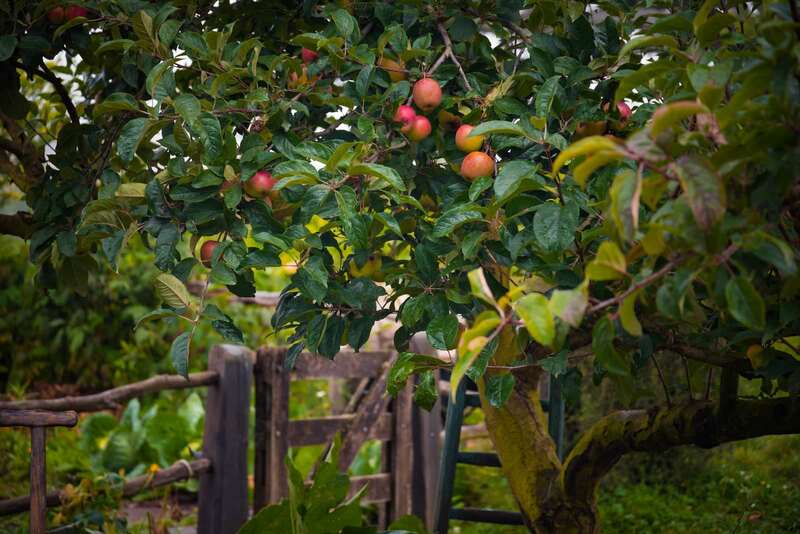 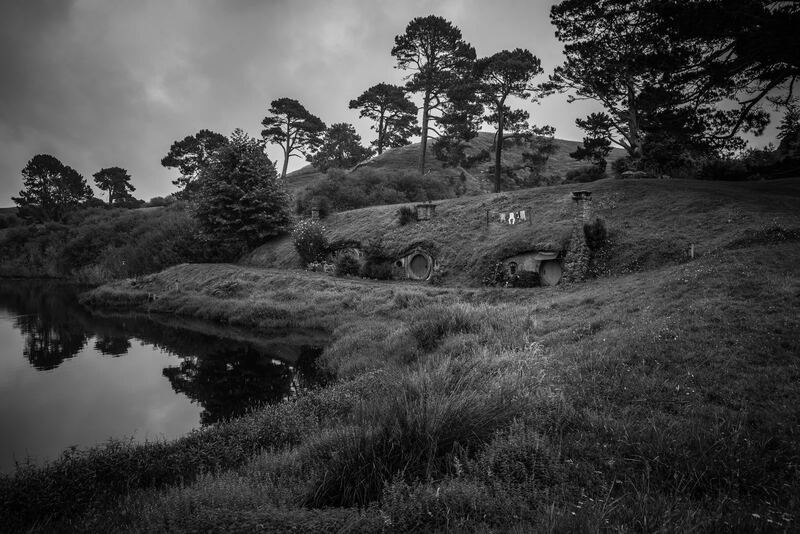 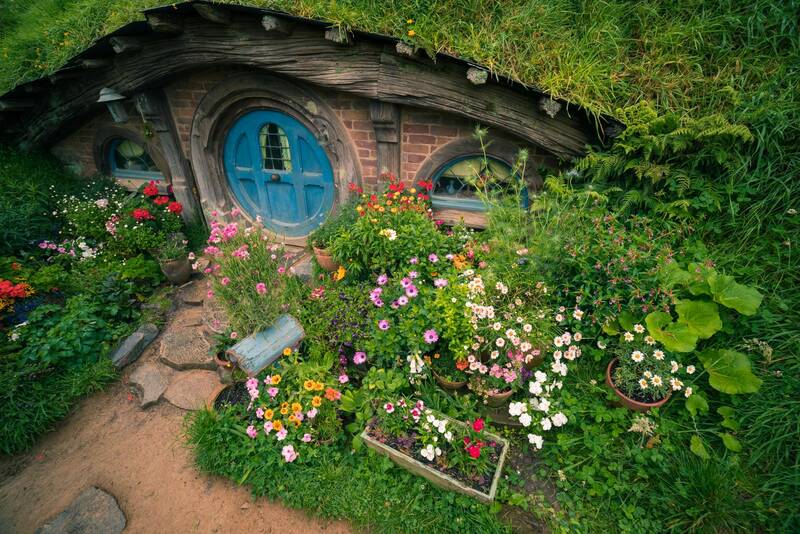 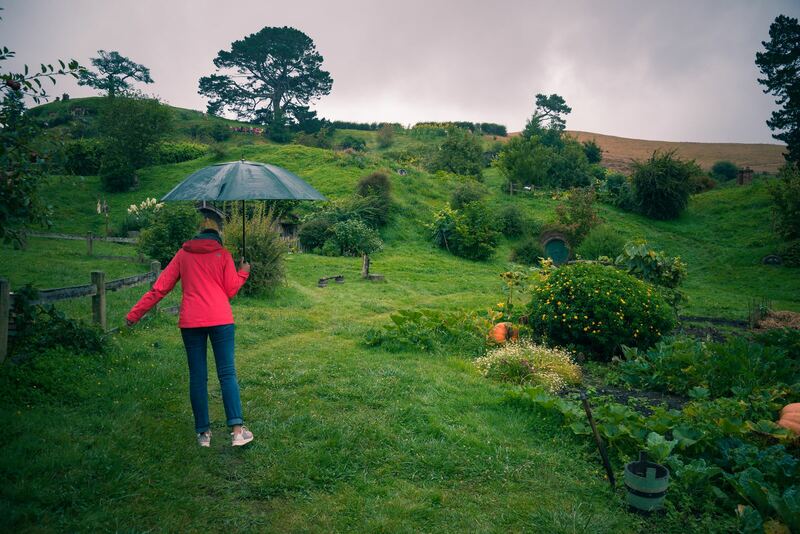 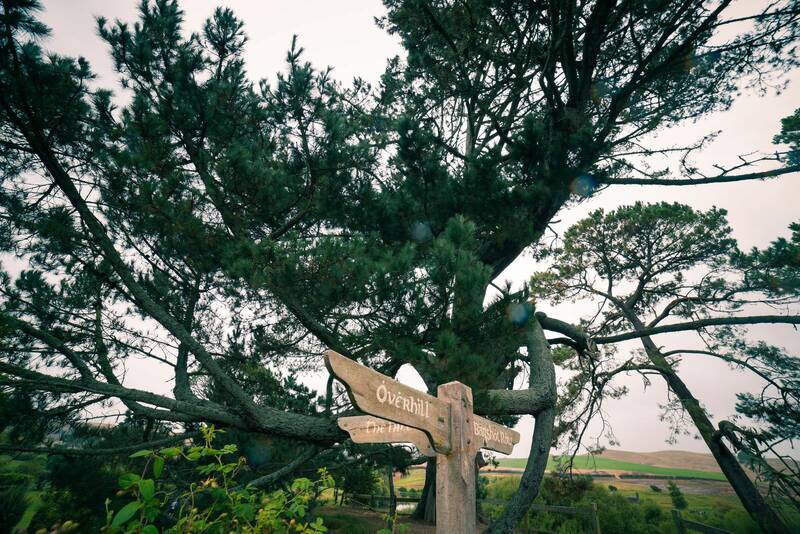 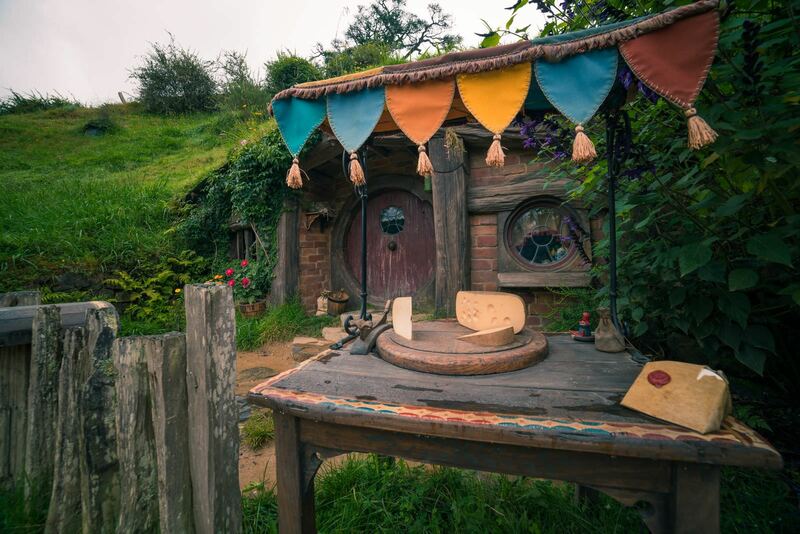 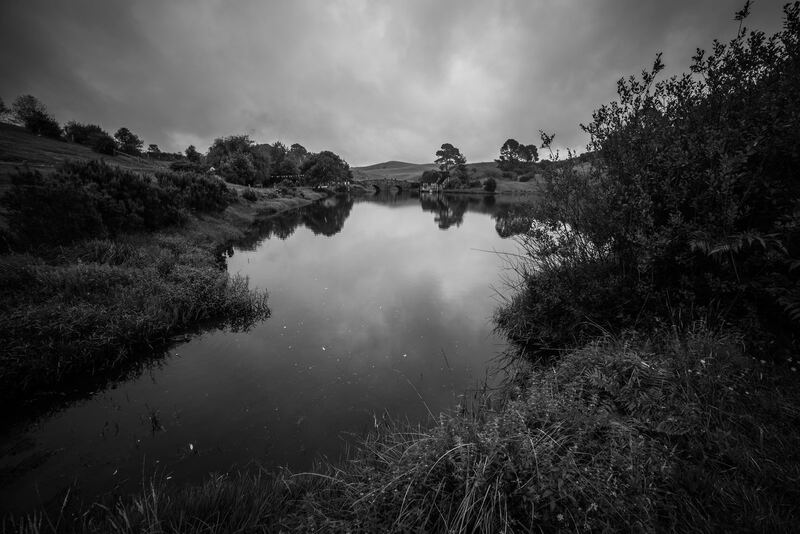 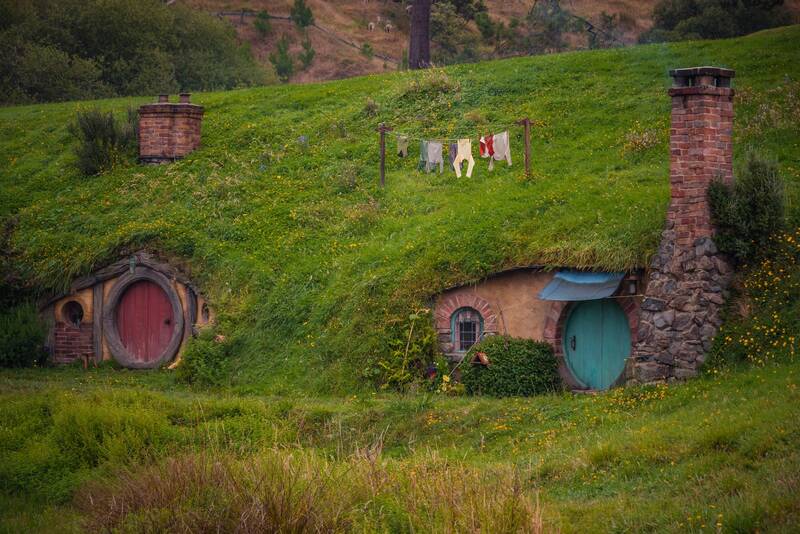 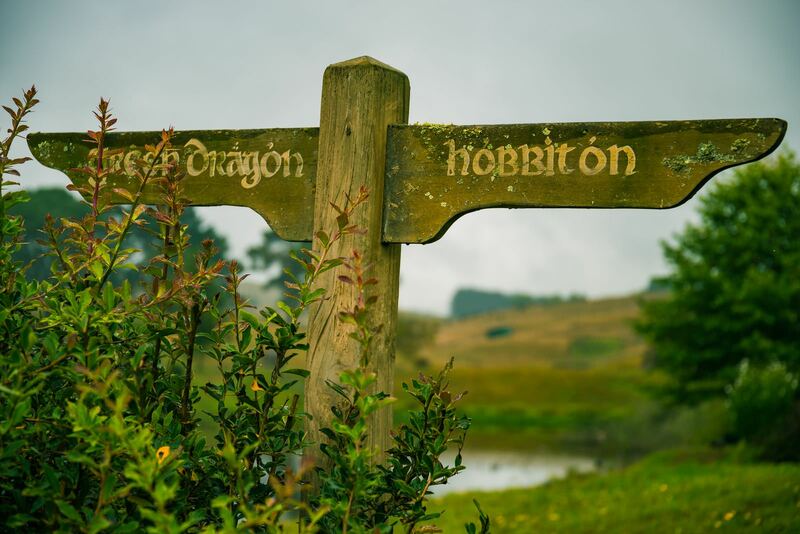 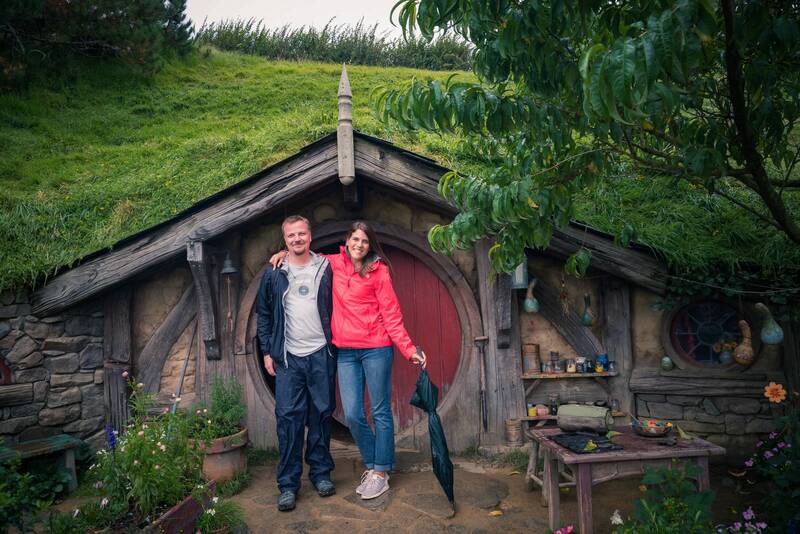 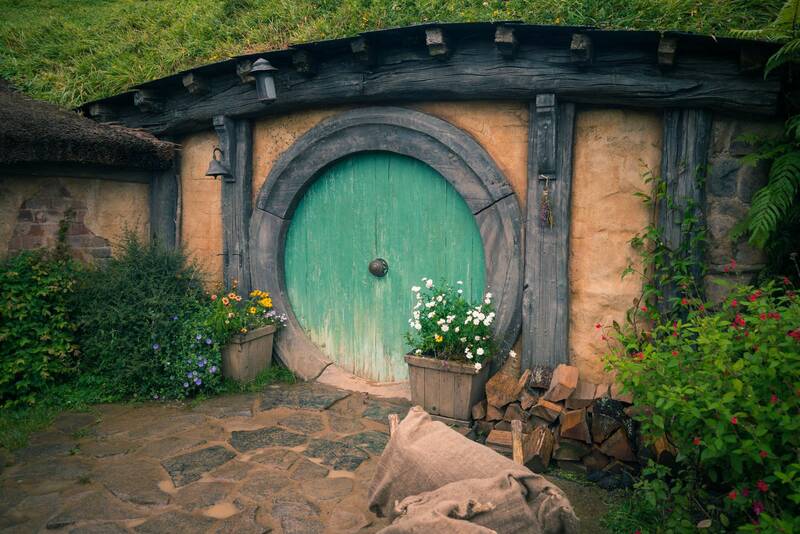 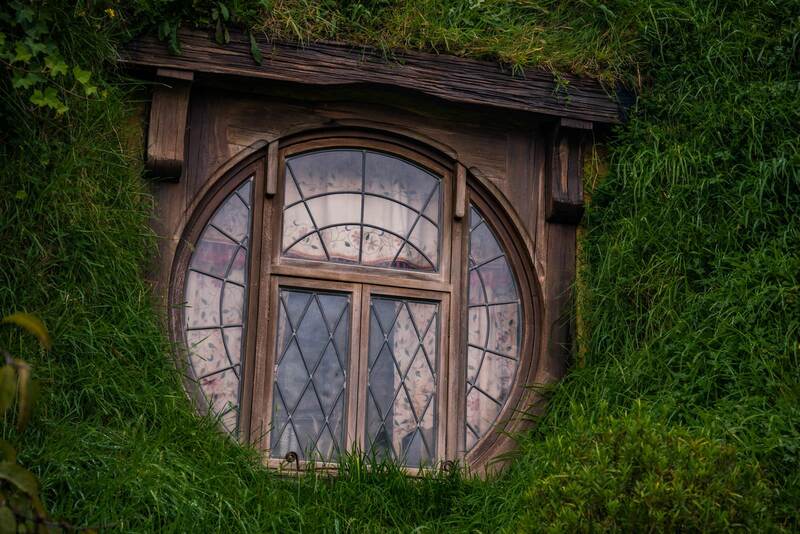 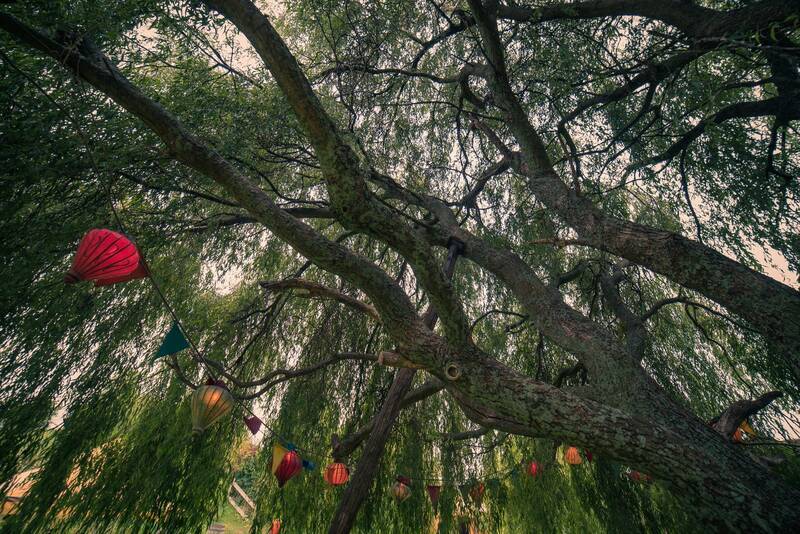 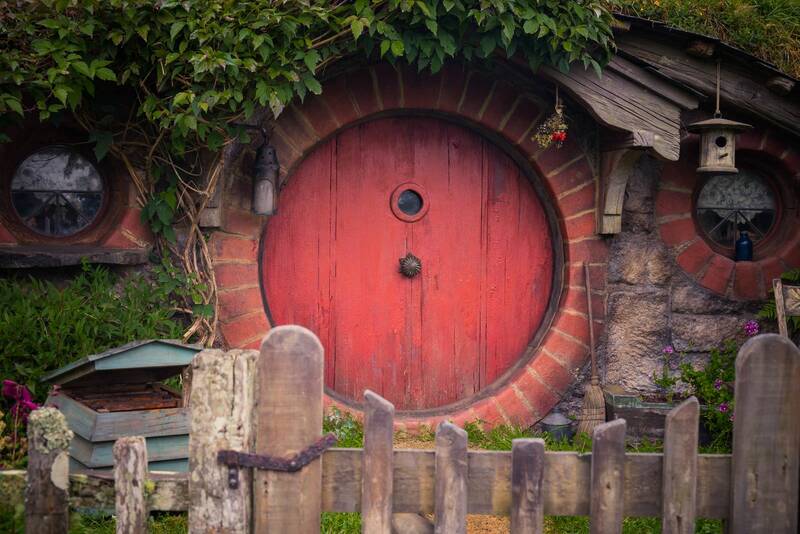 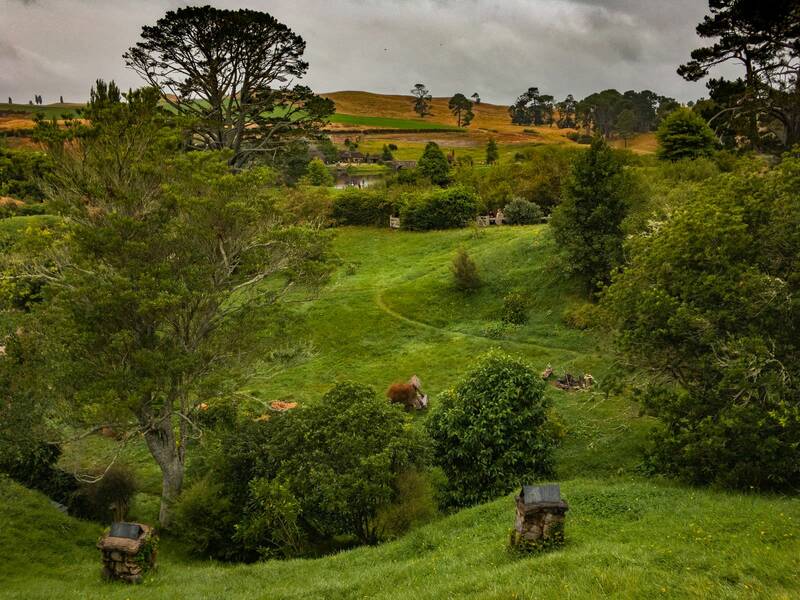 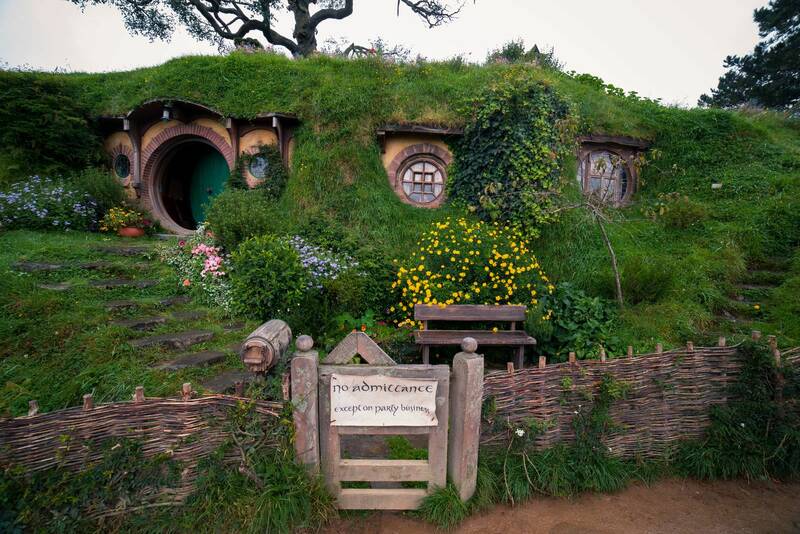 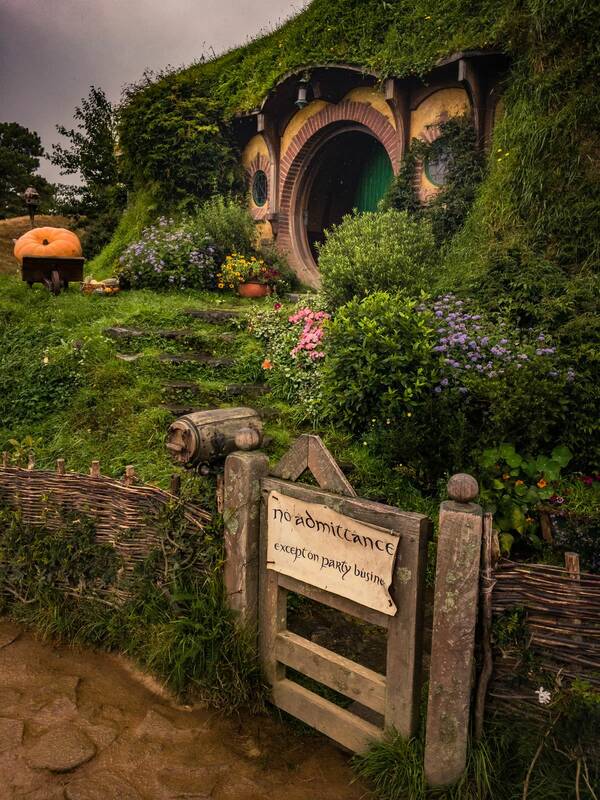 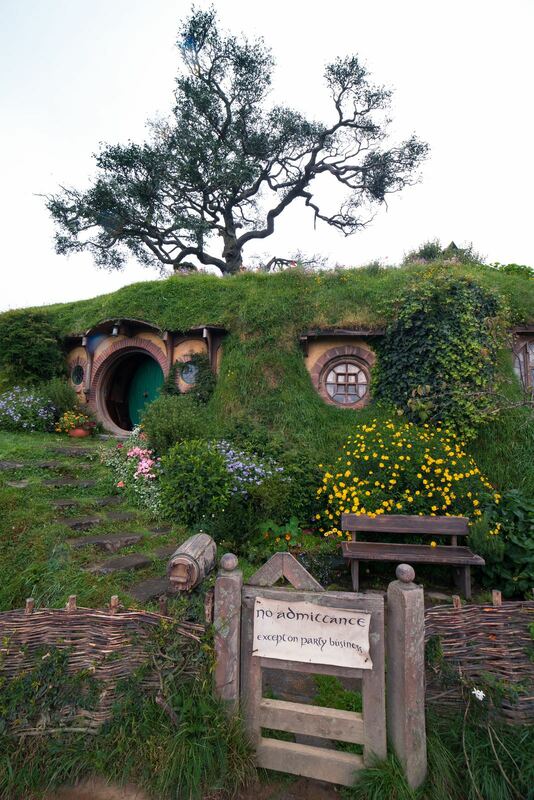 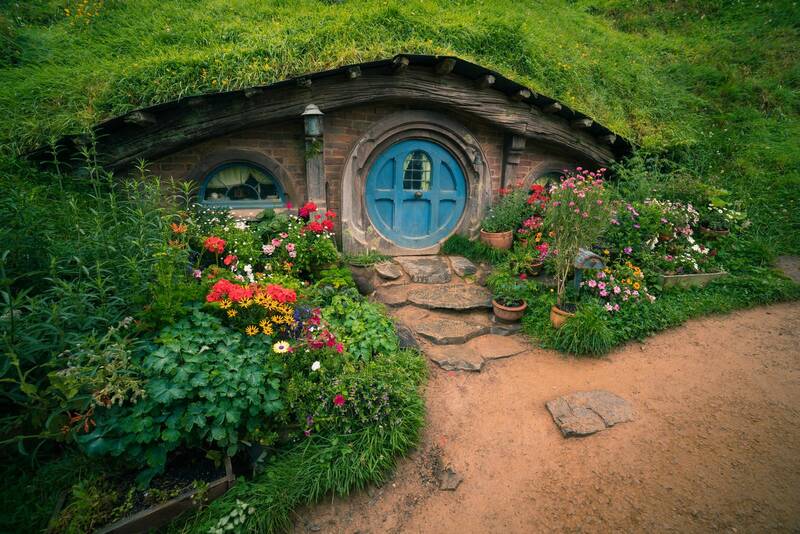 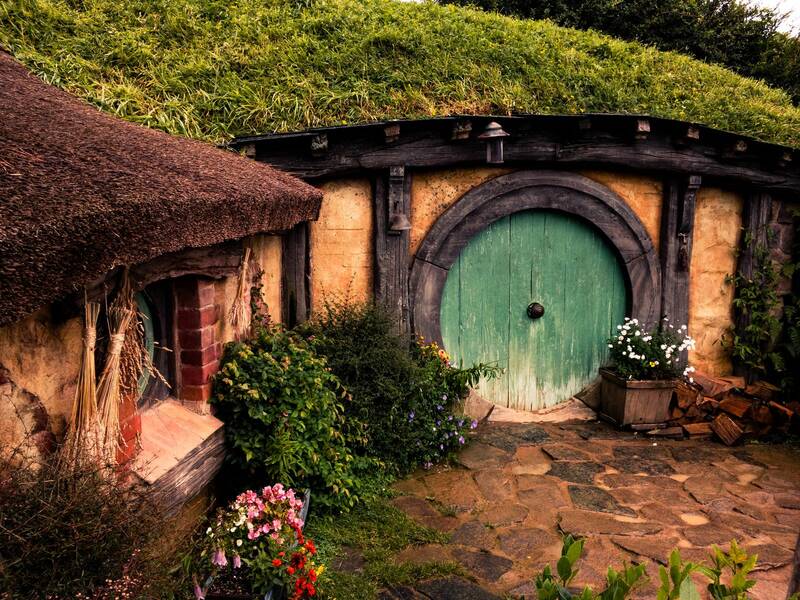 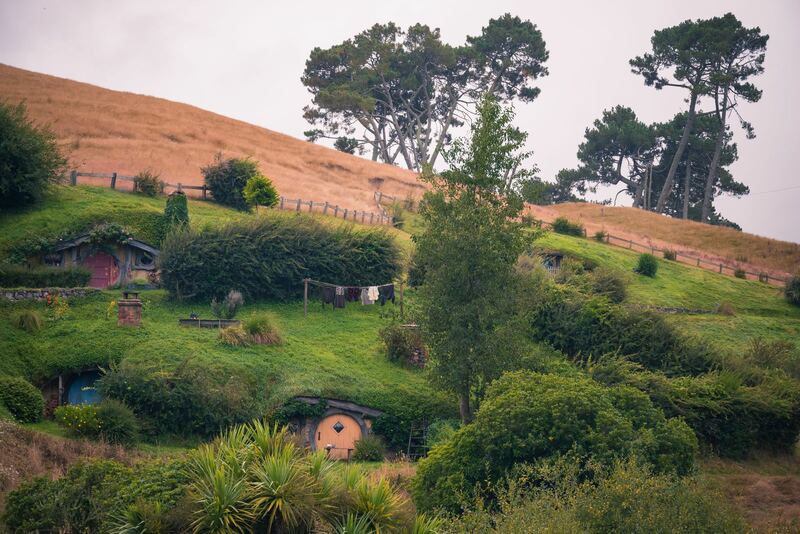 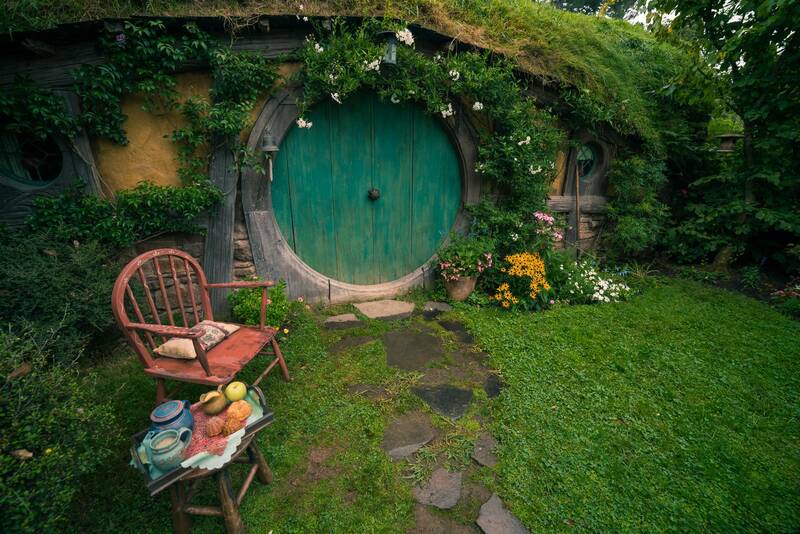 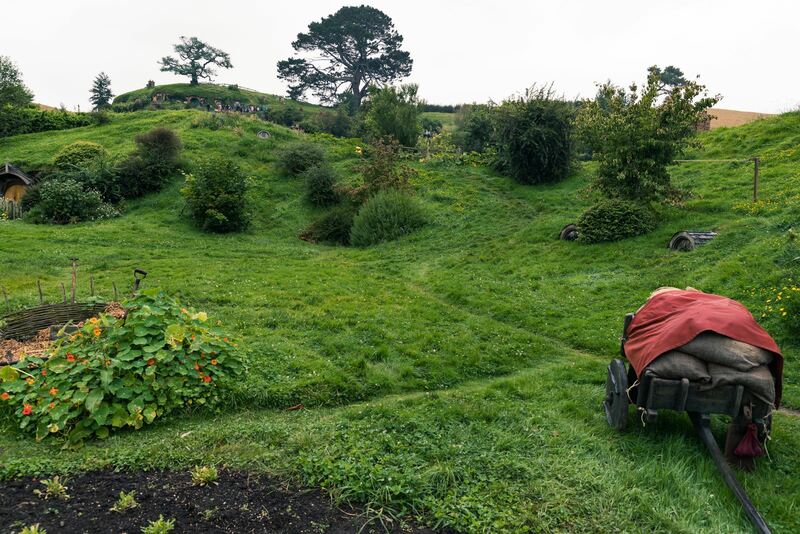 For 2 fans of the Tolkien world (Lord of the rings, Hobbit, Silmarilion, …) the Hobbiton Movie set in Matamata was a must. 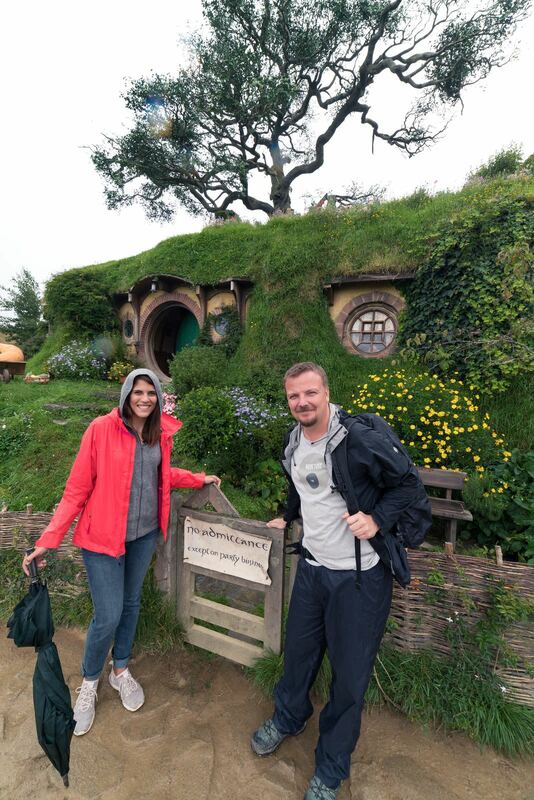 To reach it, we bought guided tour tickets that cover some basic background explanation, walk through the area, a mandatory stop at Bilbo’s (and Frodo’s) place at Bag Ends… All unfortunately only from outside. 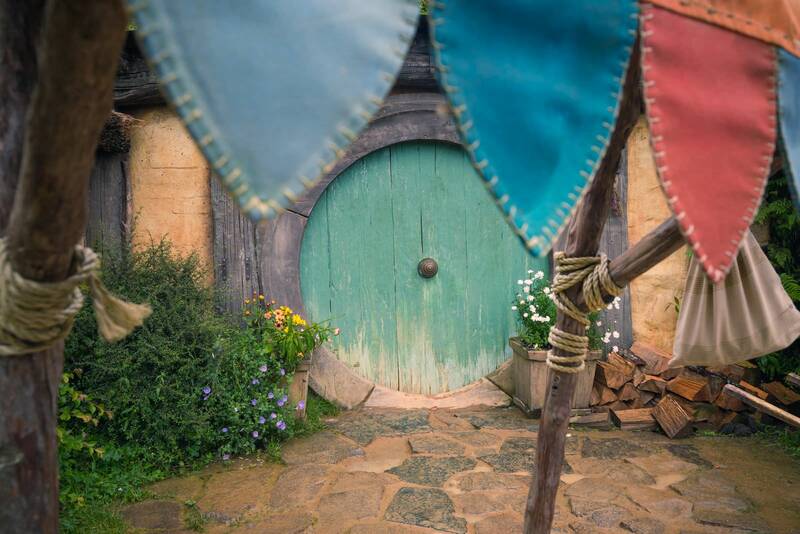 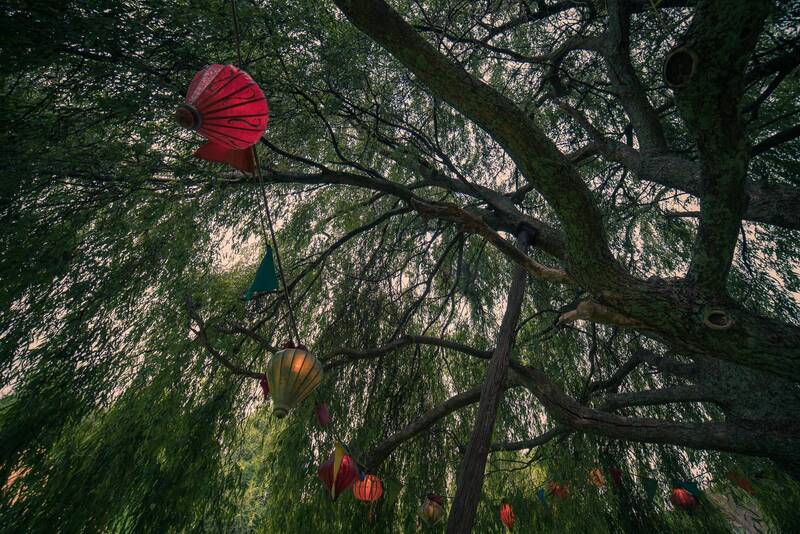 Many scenes were built for the exterior looks only. 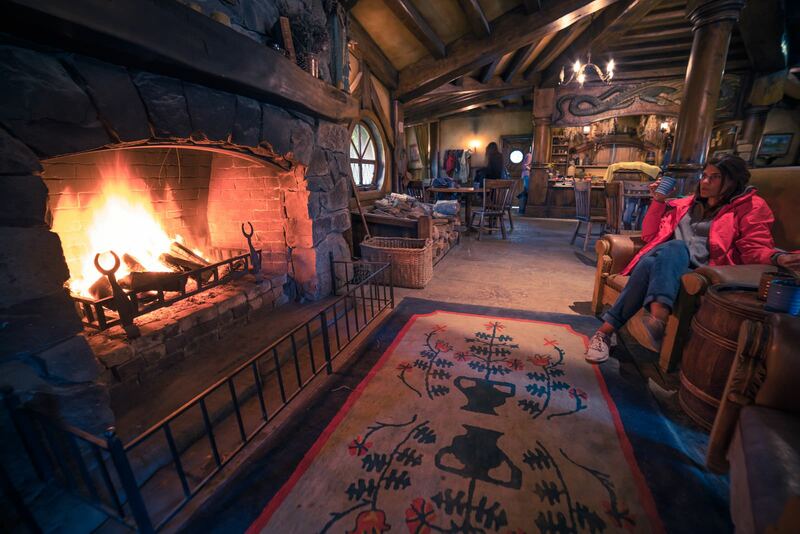 Back then the interiors were filmed in the studios. 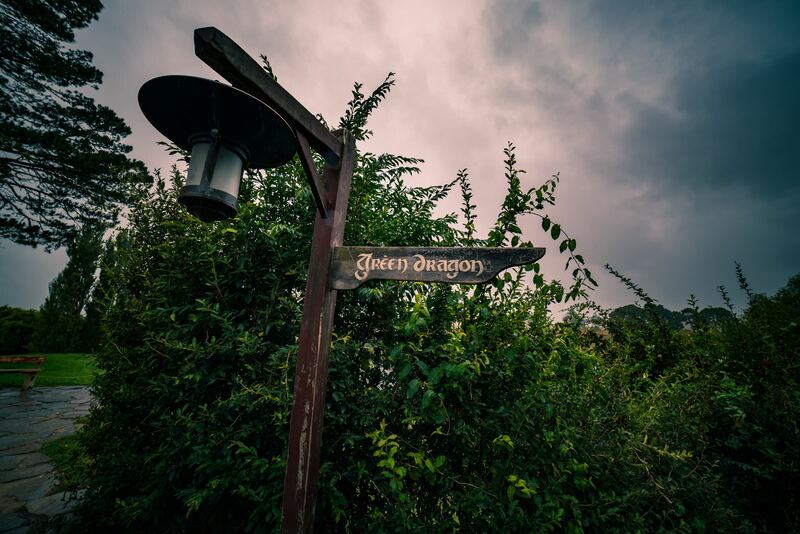 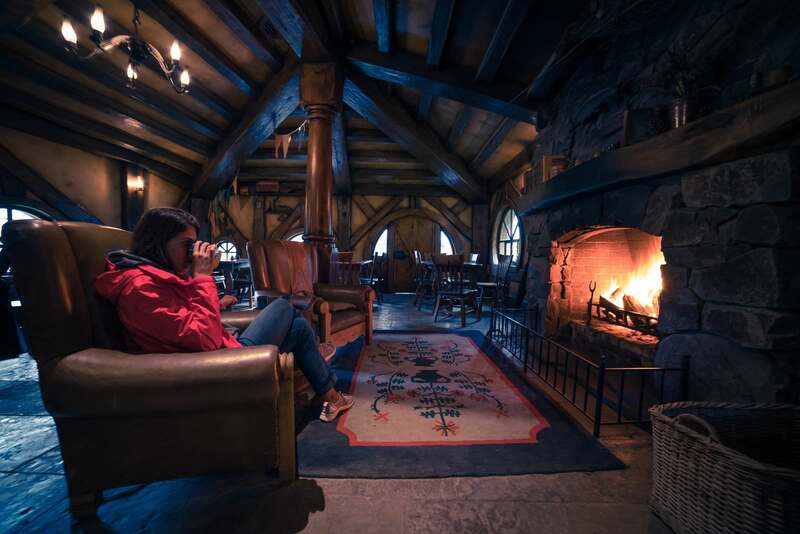 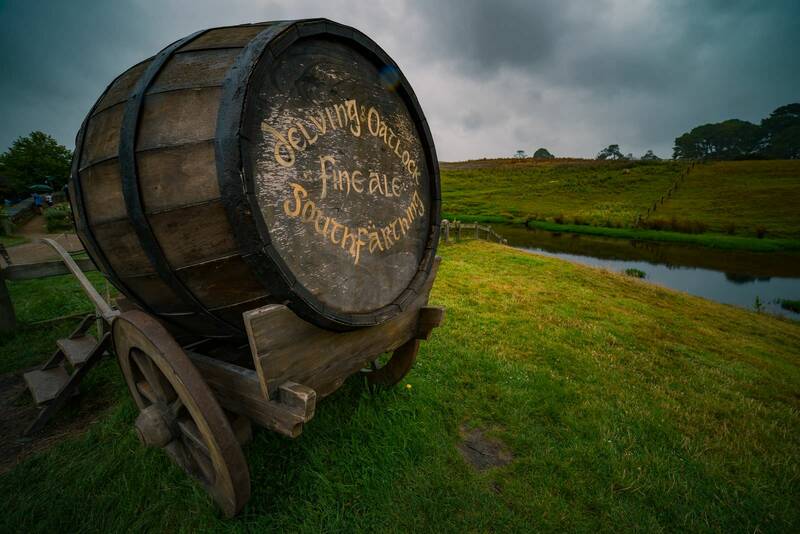 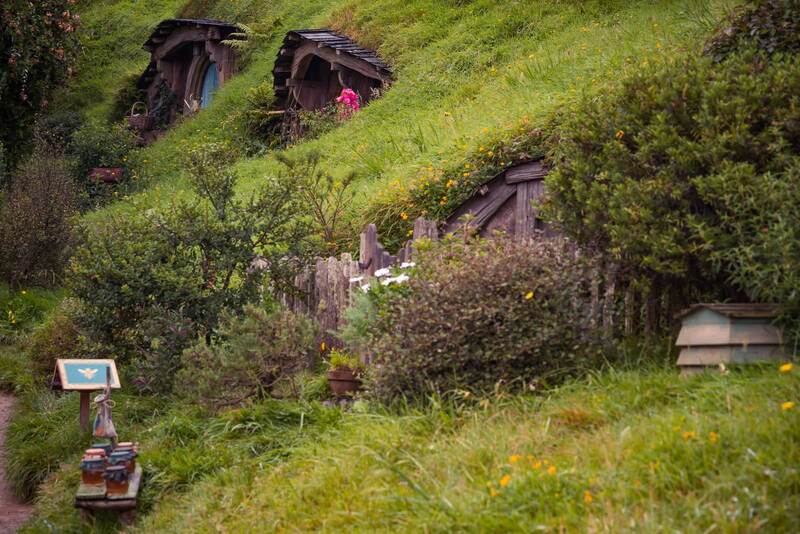 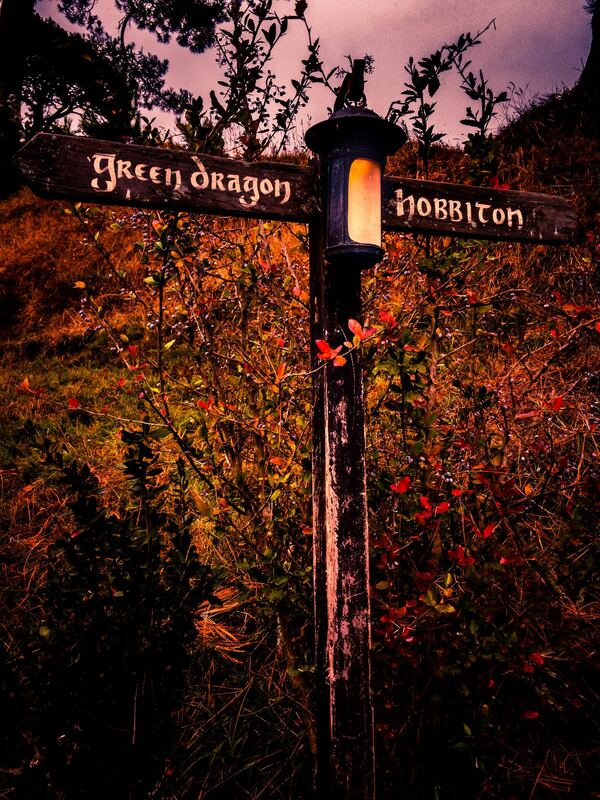 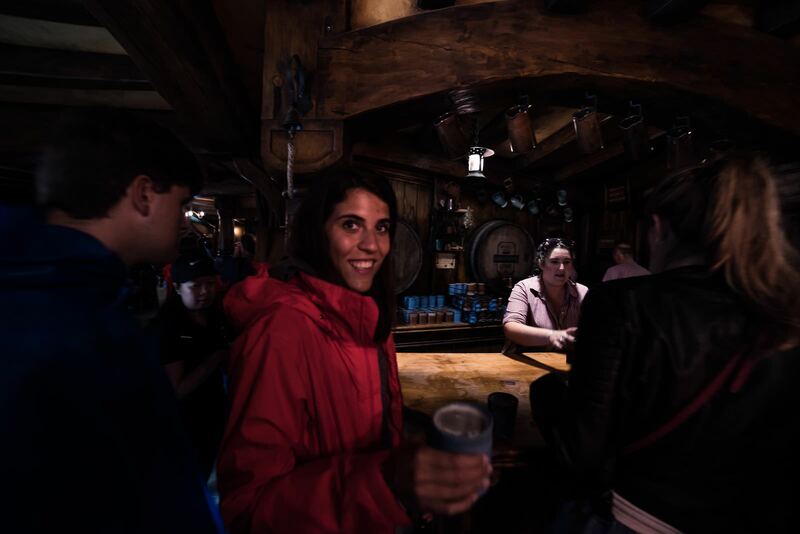 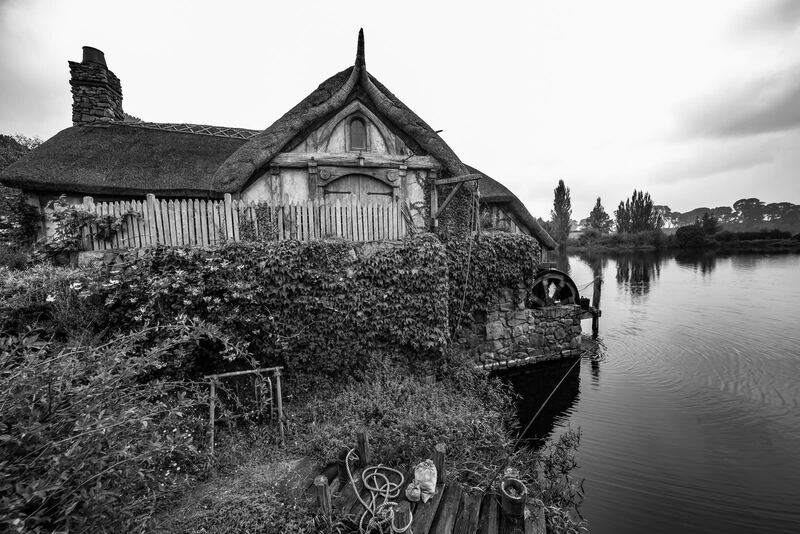 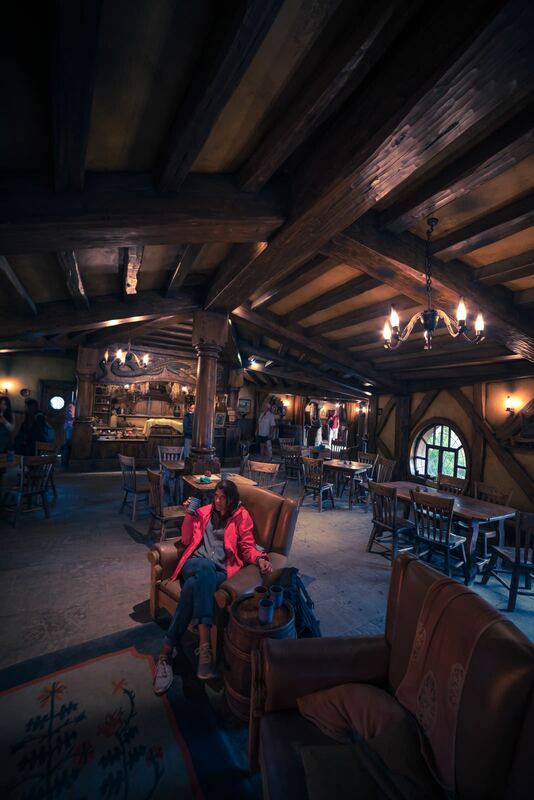 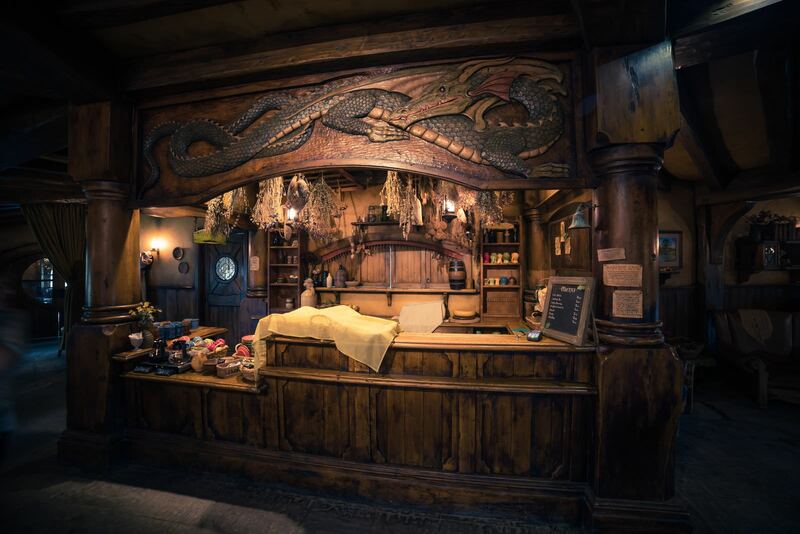 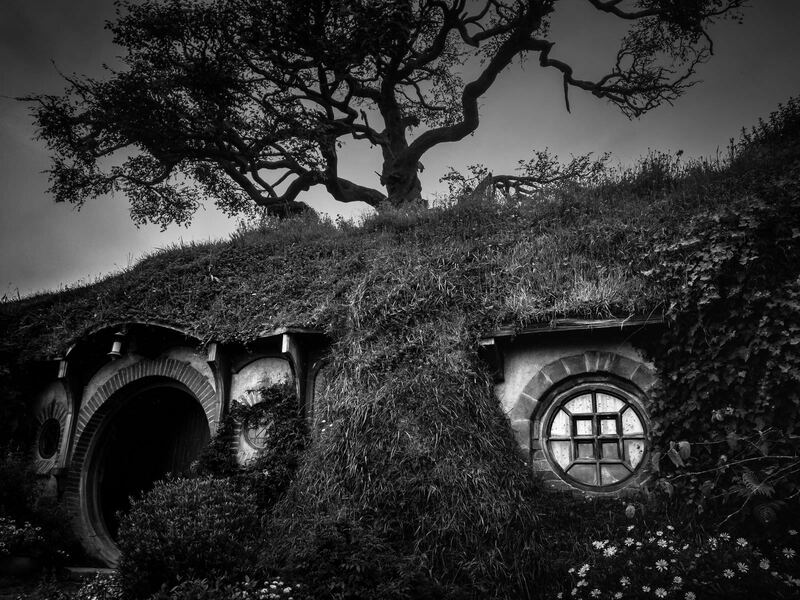 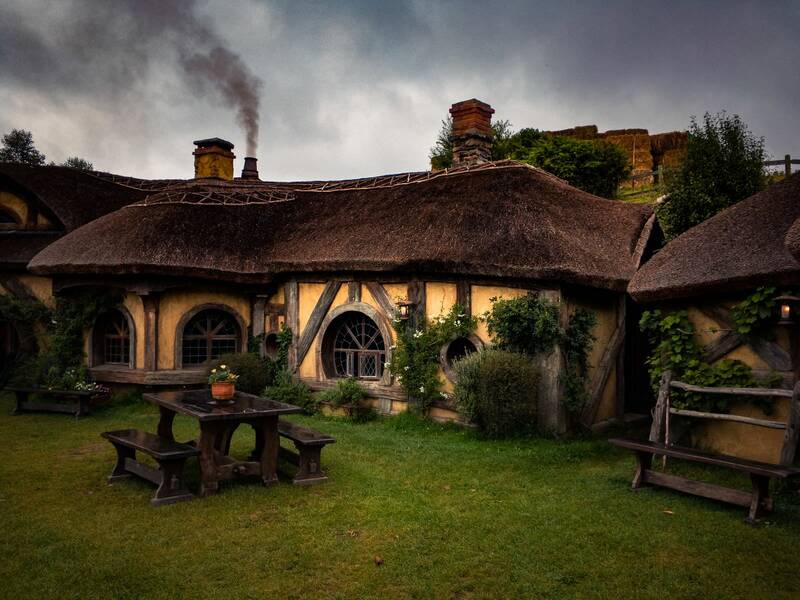 The green dragon inn / pub for example was not available during the LOTR movies. 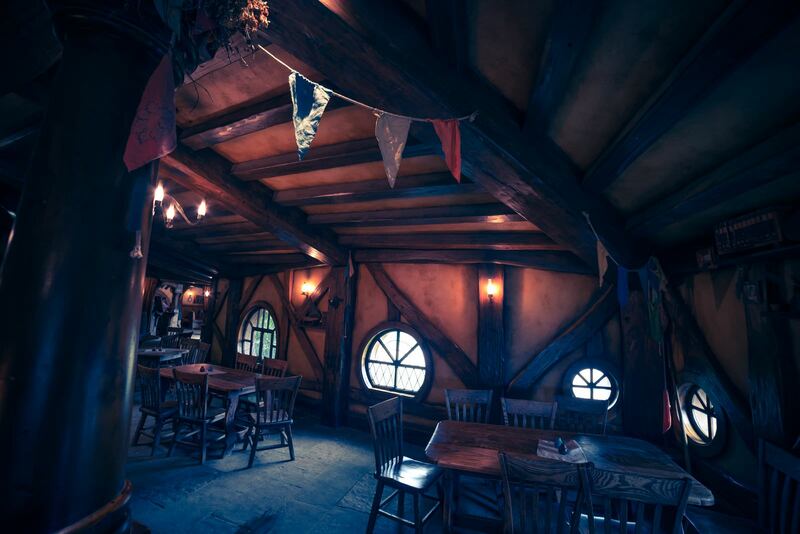 Later on, it was turned into a real pub which now serves several types of beer and looks really nice.